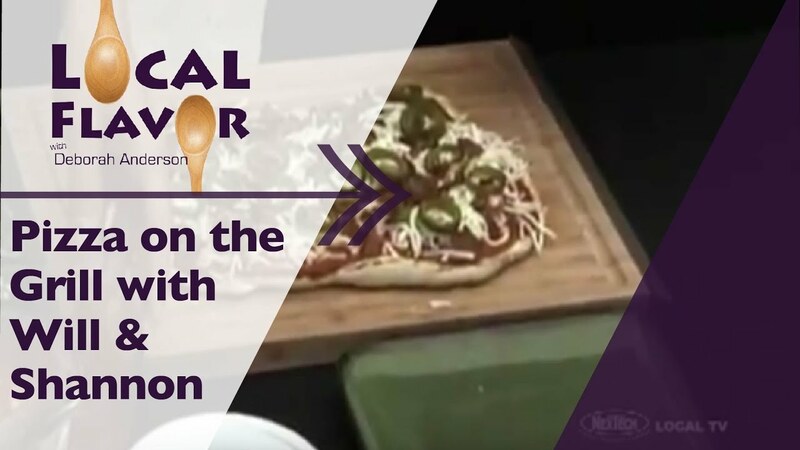 This is a show where the locals get cooking and share their favorite recipes! 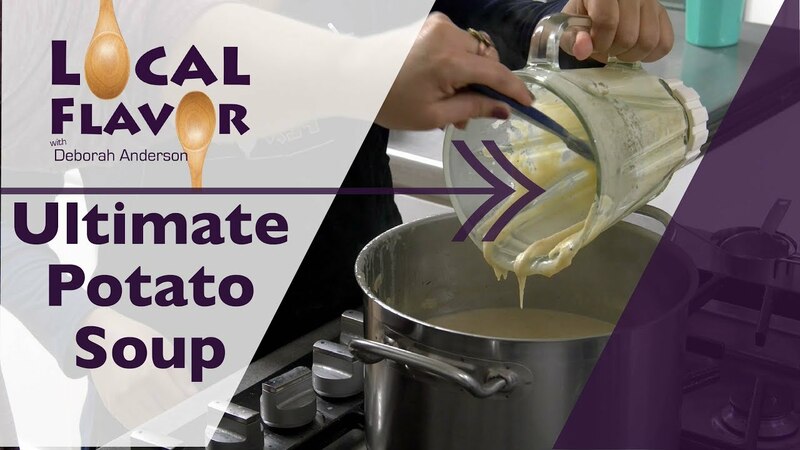 This episode of Local Flavor will have you giggling about all your 'almost' cooking mishaps as guest Camilla Bailey shares her 'Ultimate Potato Soup' recipe with host Deborah Anderson. 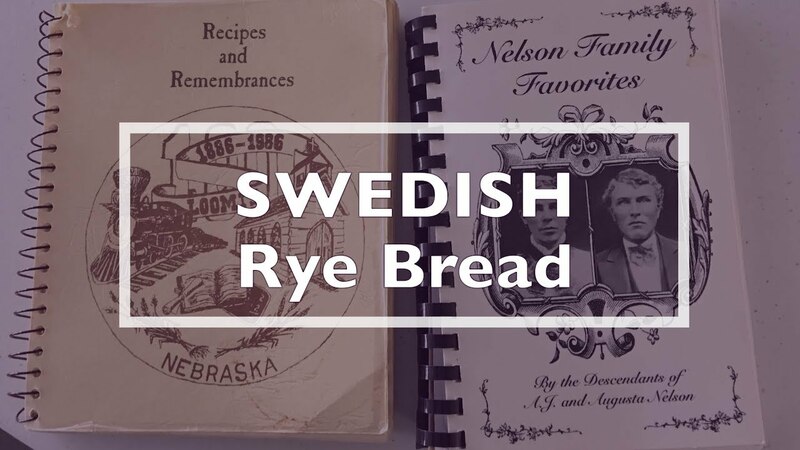 Guest Steve Hanson teaches host Deborah Anderson how to make Swedish Rye Bread recipe from scratch. 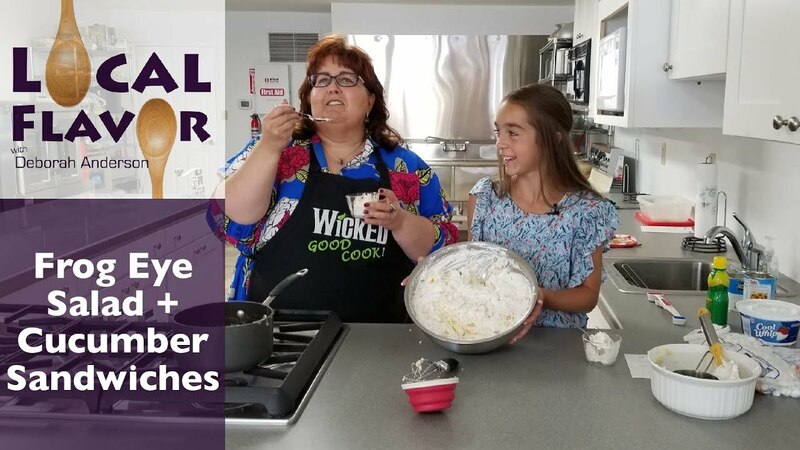 Since guest Evie Vance has been making biscuits and gravy with her Grandma Harriet since she was old enough to sit on the counter and eat the dough, she's teaching Deborah Anderson how it works with the secret ingredient! 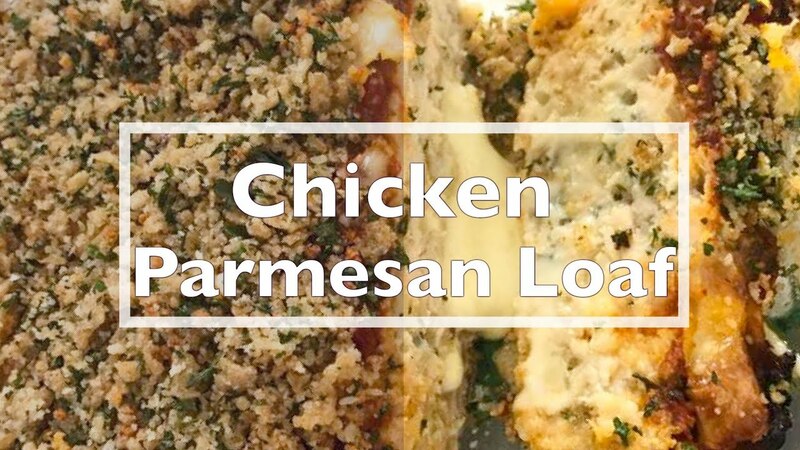 Follow along with host Deborah Anderson as she makes a homemade marinara sauce and breadsticks to pair with a mozzarella stuffed 'Chicken Parmesan Loaf'. 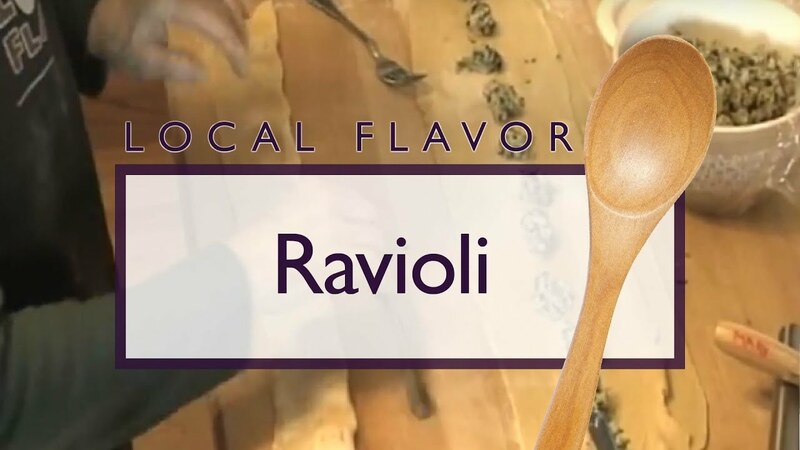 It'll be your new Italian favorite! 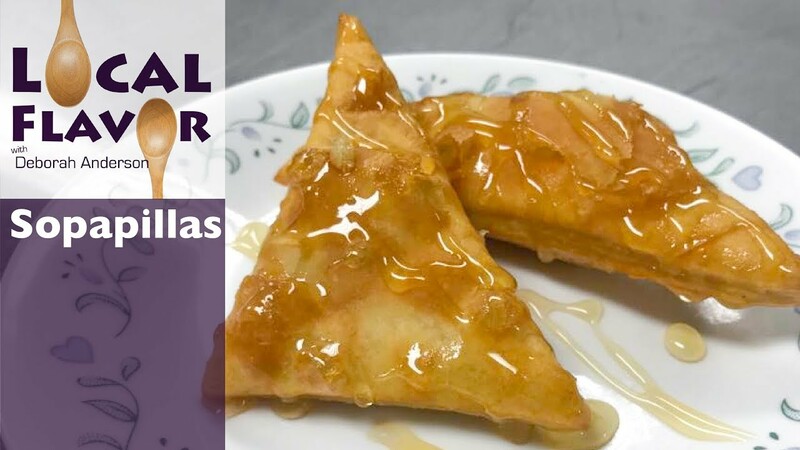 With host Deborah Anderson and guest Shante Ryines you can learn how to make fresh, warm Sopapillas in your own kitchen + garnish them with local honey for the perfect dessert. 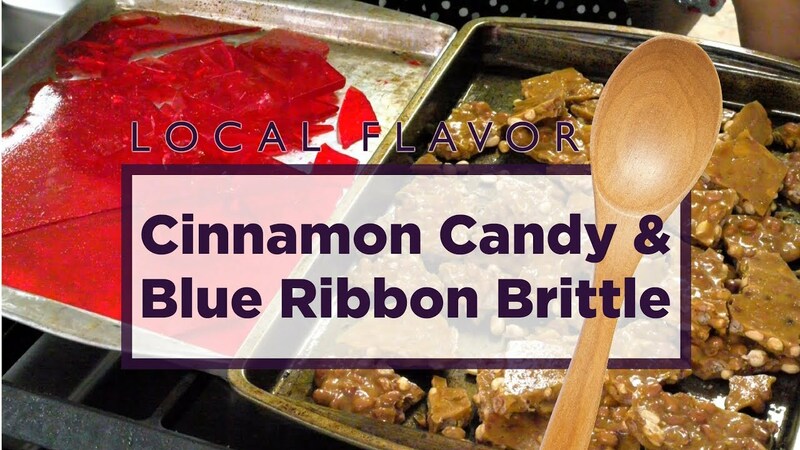 Host Deborah Anderson and guest Donna Nelson make Cinnamon Candy and Blue Ribbon Brittle like their mothers taught them. 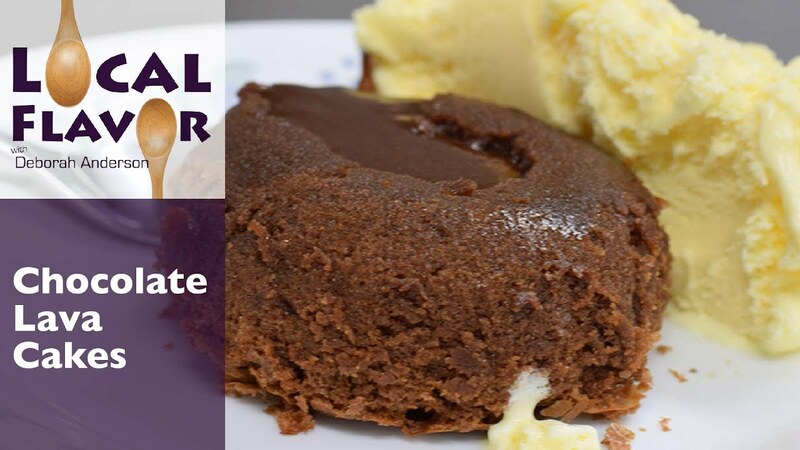 Breakfast for Dessert? 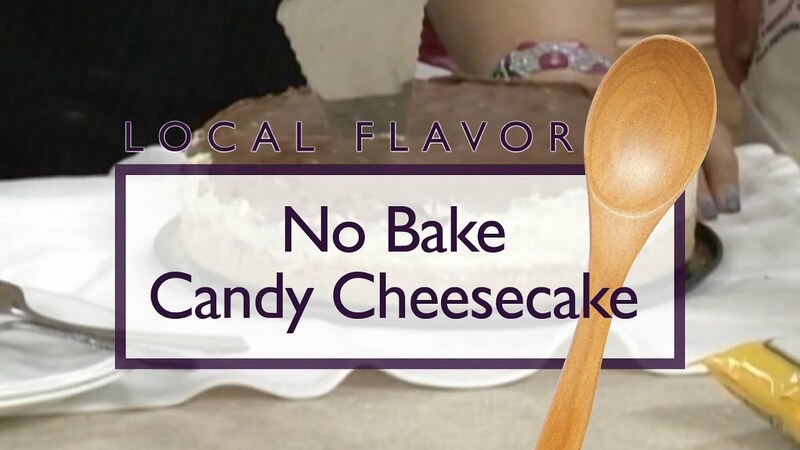 You bet! 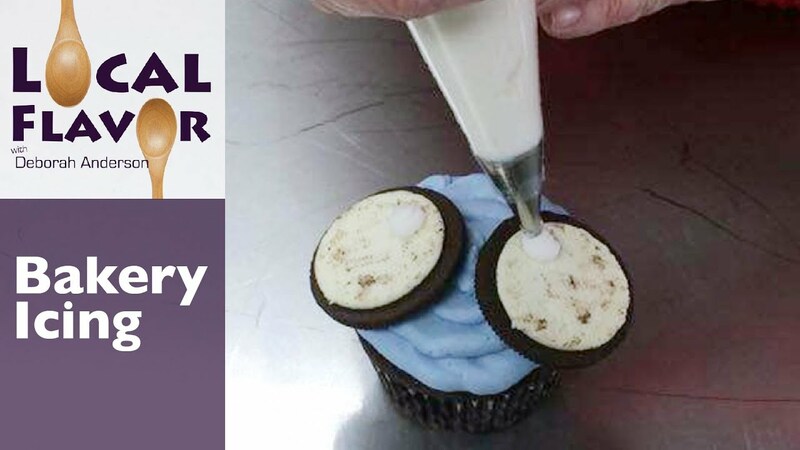 Host Deborah Anderson packages all your favorite breakfast flavors in this delightful cupcake. 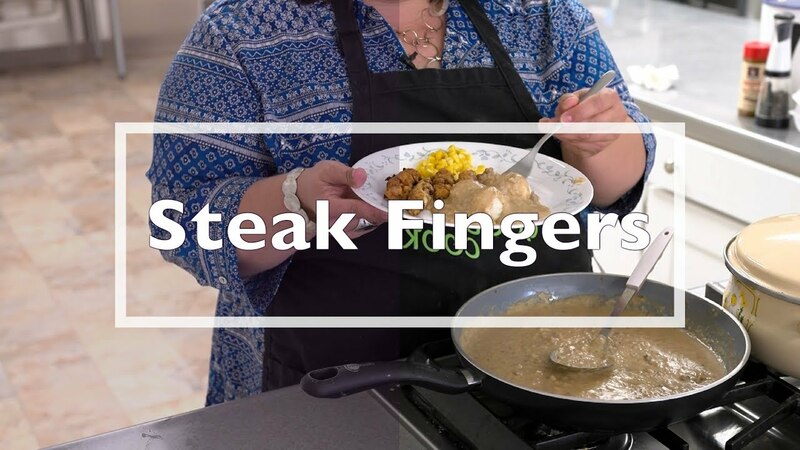 Learn how to make this flavorful meal with Deborah Anderson- it's homestyle cooking in the form of homemade steak fingers, crockpot corn, and straight from the drippings gravy. 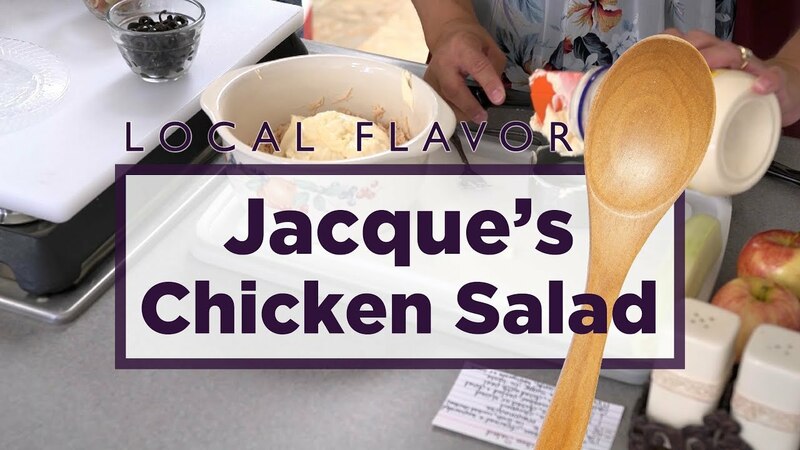 Host Deborah Anderson and guest Jacque Beckman bring together all the flavors of summer in this 'go-to' chicken salad recipe. 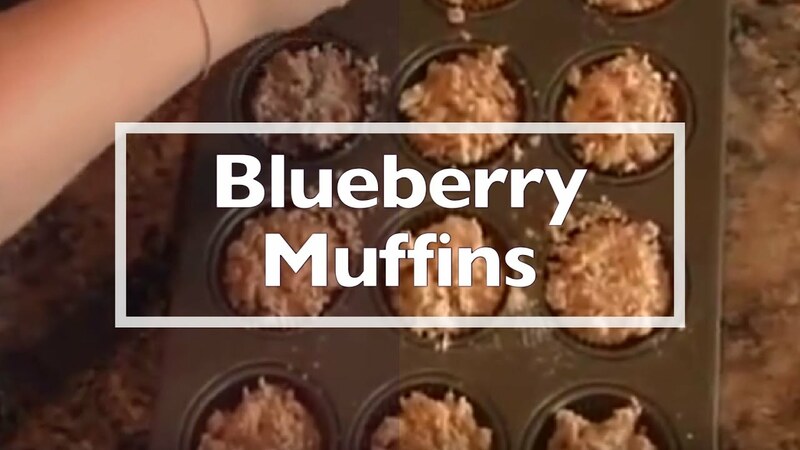 Dump cakes are known for their easy-to-make but oh-so-yummy flavor. 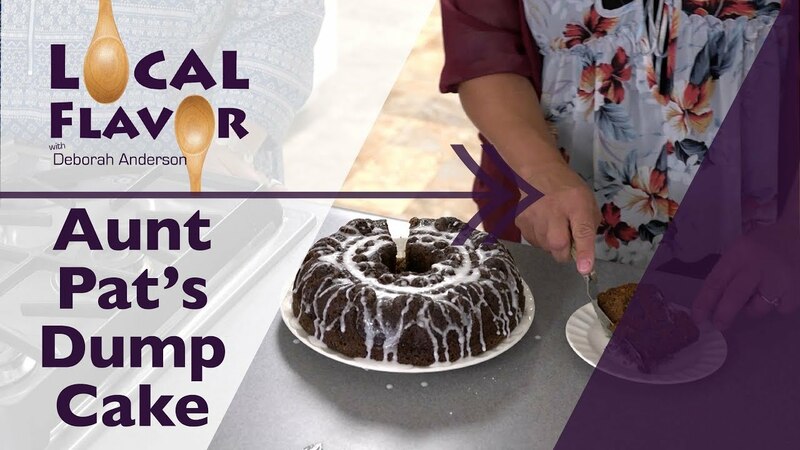 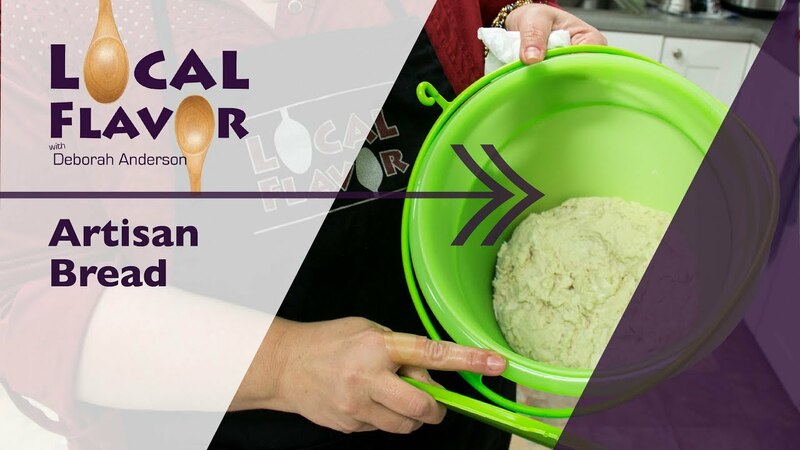 Guest Jacque Beckman teaches host Deborah Anderson how to make her "Aunt Pat's Dump Cake" in this episode of Local Flavor. 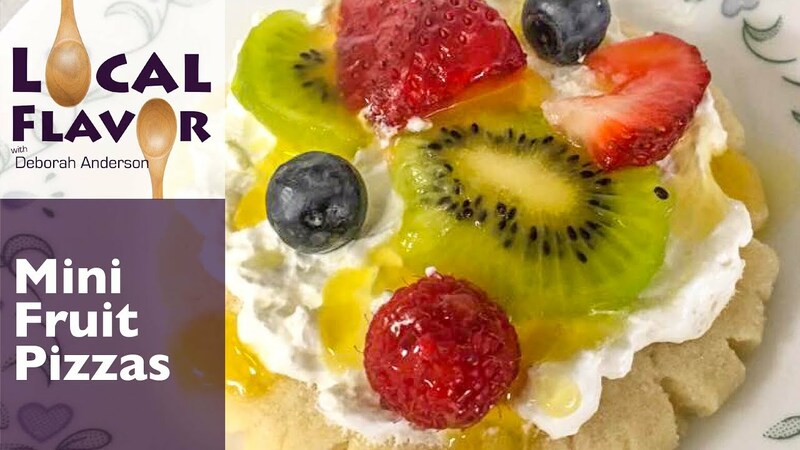 Host Deborah Anderson shares her famous sugar cookie recipe in the form of cute fruit pizzas. 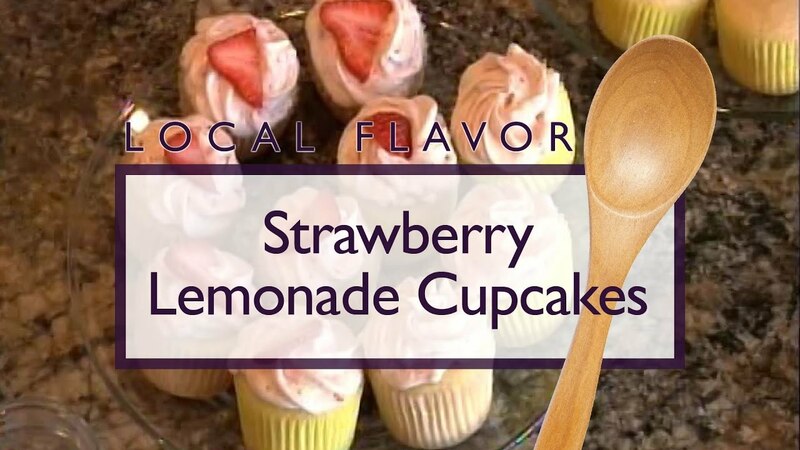 You'll want to make these for your next gathering! 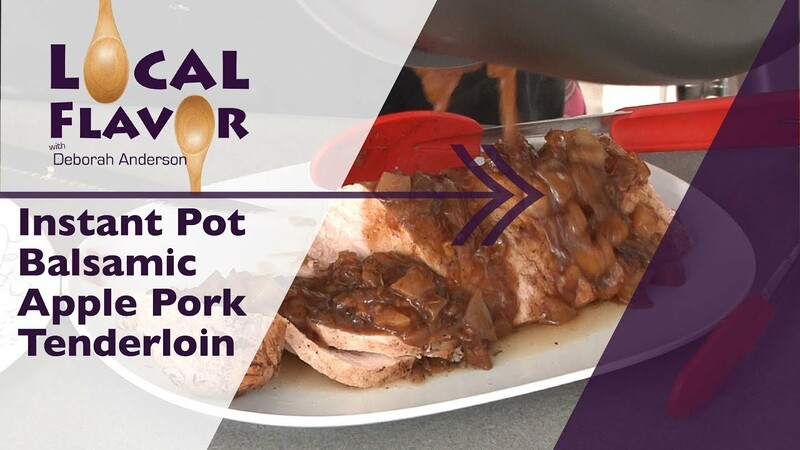 Host Deborah Anderson shares her 'Instant Pot Balsamic Apple Pork Tenderloin' recipe that will look and taste like you were in the kitchen all day, but it literally cooks for just 2 minutes! 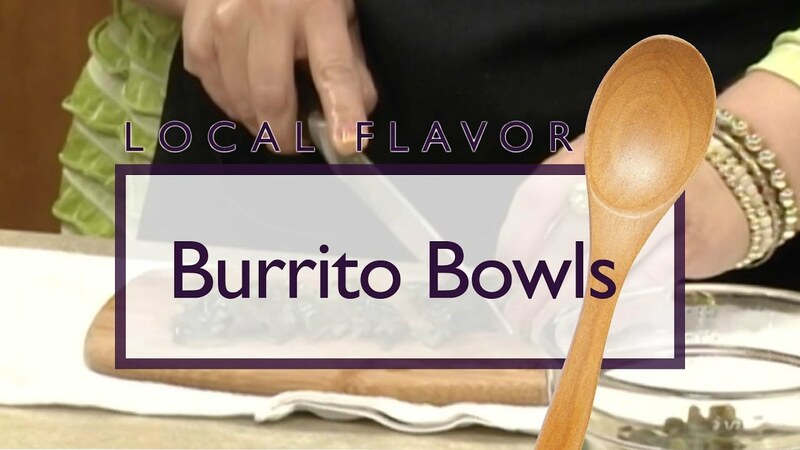 Deborah Anderson, the host of Local Flavor, shares a popular, favorite recipe that her college friend shared with her years ago. 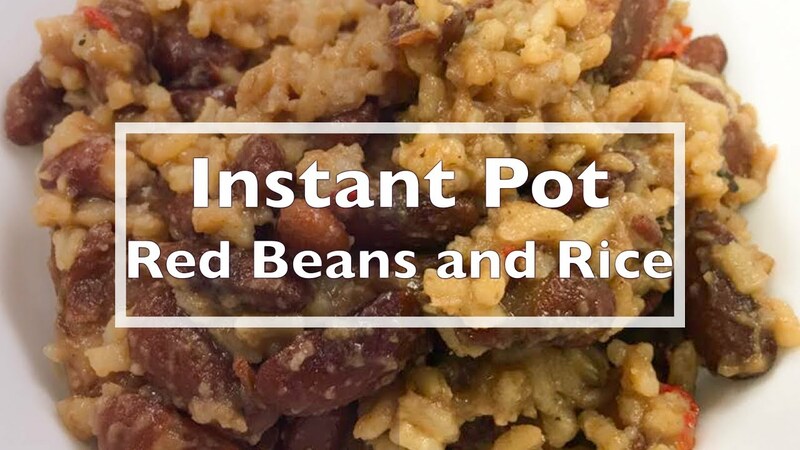 Host Deborah Anderson shares another popular Instant Pot recipe that is a favorite in her house- Red Beans and Rice. 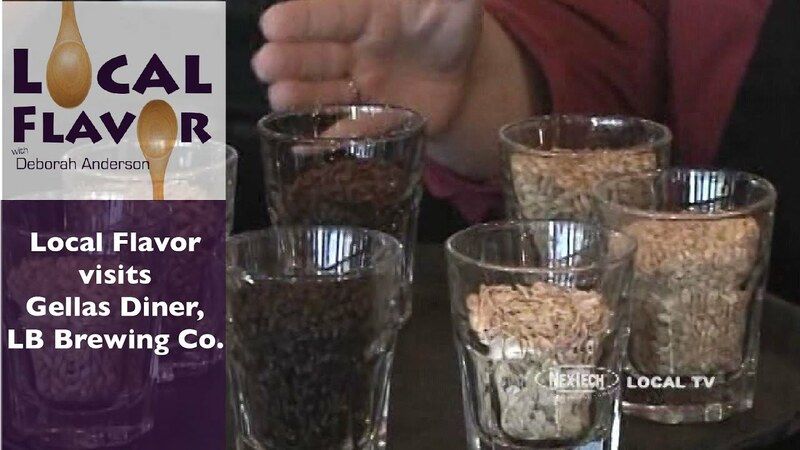 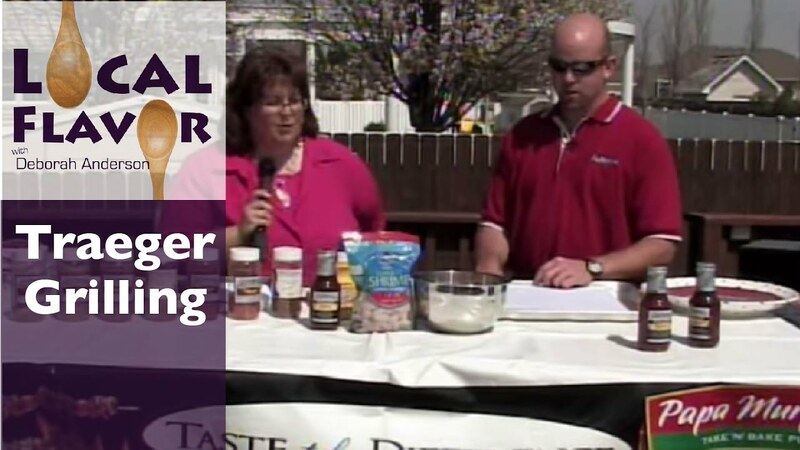 Plus, she teaches you how to make Creole seasoning from scratch! 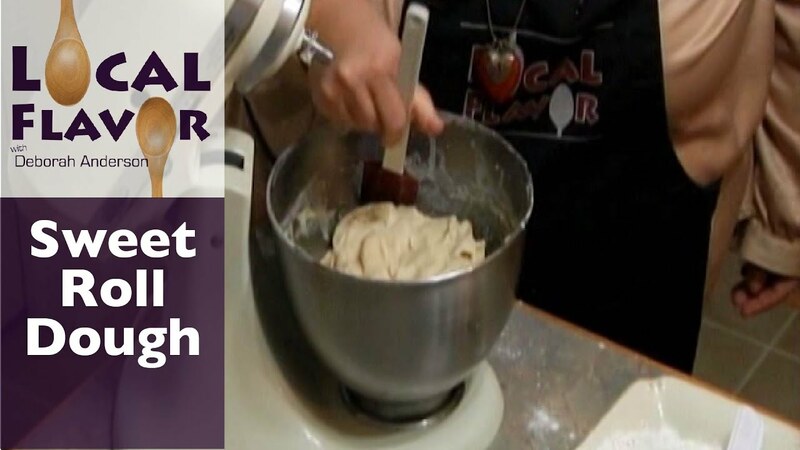 Deborah finally reveals how to make EASY homemade Artisan Bread and why it's taken her so long to share how. 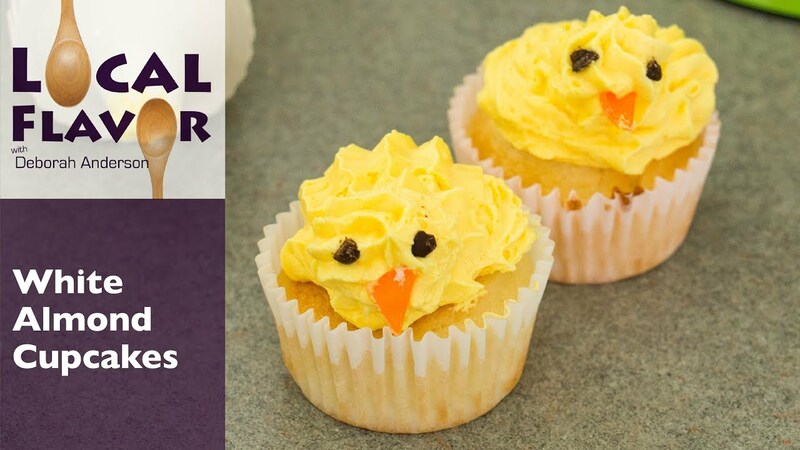 Deborah shares her families favorite cake recipe + in lieu of Spring fever makes cupcake bunnies and chicks with a delightful frosting. 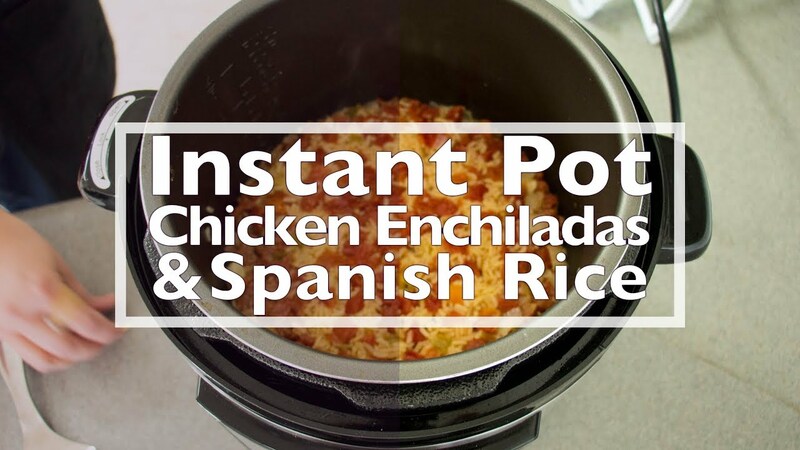 Host Deborah Anderson shows you how to put your Instant Pot to work making chicken enchiladas with her favorite recipe and Spanish rice- and all in the same pot! 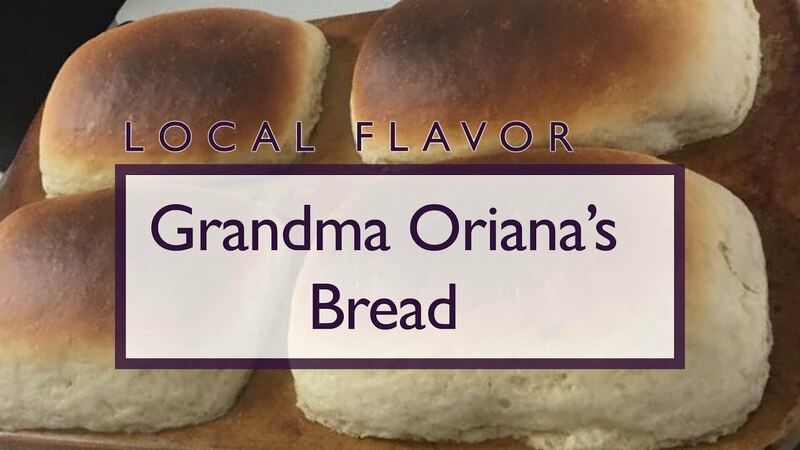 Deborah has guest and friend Andrea Keese on to share a very special homemade bread recipe that has been passed down from generation to generation. 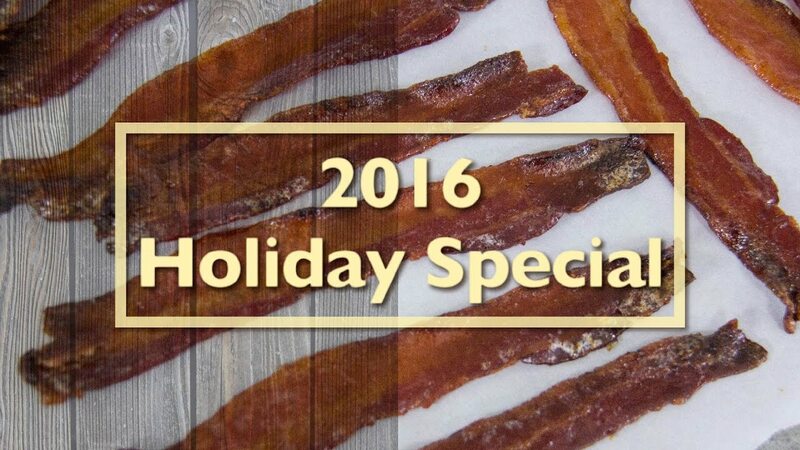 Deborah has the perfect solution for all your extra holiday ham + a unique dip to take to your New Year's parties. 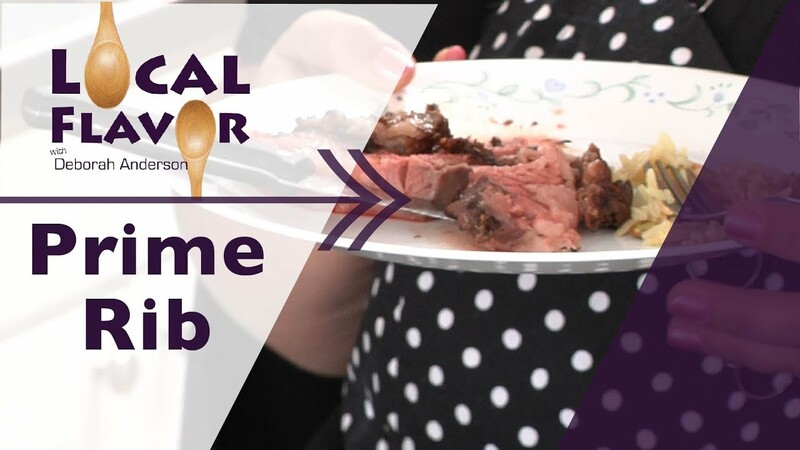 Guest Ryan Murphy has developed a fail-proof method for perfect prime rib. 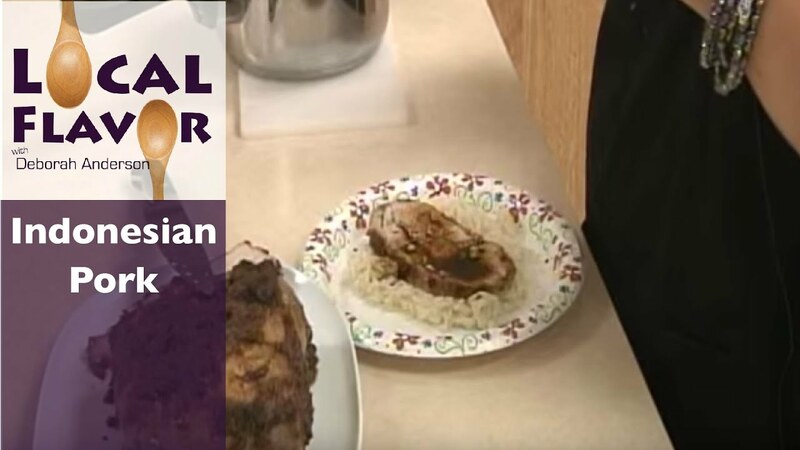 With rice pilaf, you can create a side that doesn’t violate the “don’t open the door” rule. 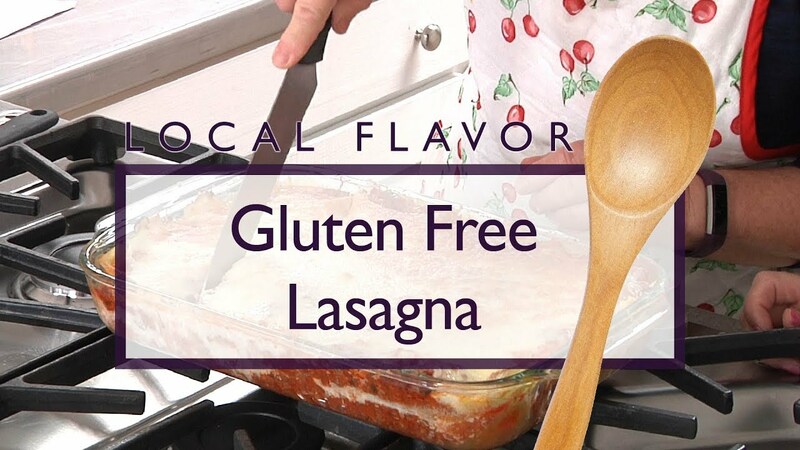 Call it Gluten Free or Zucchini Lasagna but either way the sauce in this lasagna is so flavorful, you won’t even notice the noodles have been replaced with sheets of zucchini. 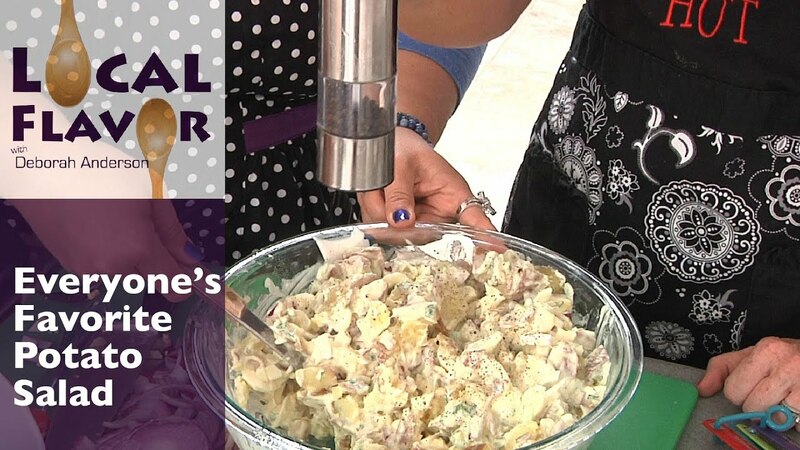 Guest Billie Frakes, co-owner of Anything's Pastable, teaches host Deborah Anderson how to make her 'weeknight' or 'go-to' Chicken Carbonara recipe along with a side salad topped homemade dressing. 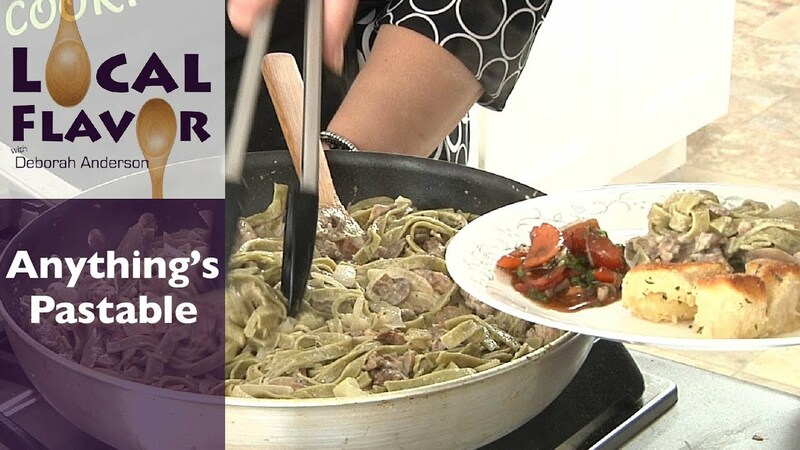 Guest Sara Albrecht, co-owner of Anything's Pastable, shows host Deborah Anderson how easy it is to make a complete meal in 30 minutes using their homemade Spinach Pasta. 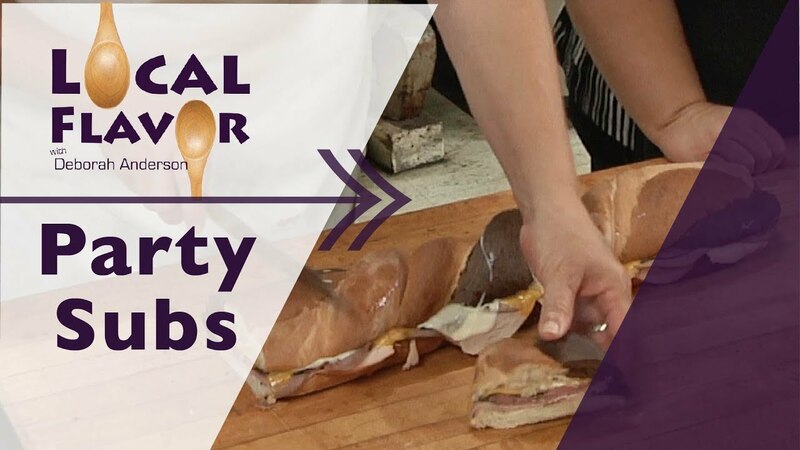 A compound butter and a trio of breads elevates this sandwich to party status. 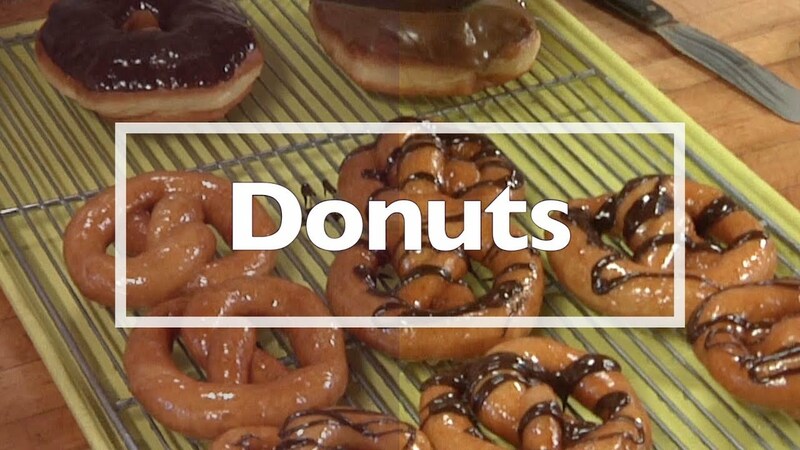 A behind the scenes look at how your favorite donuts are crafted each day before daybreak. 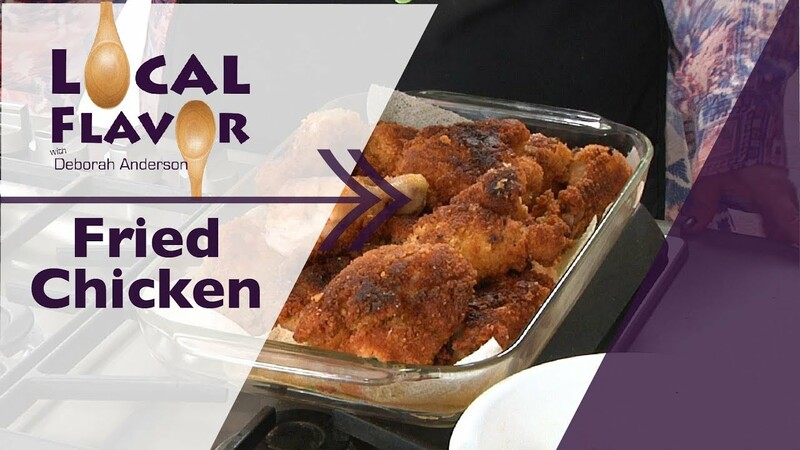 Blair Kirkpatrick unlocks some of the mysteries for making one of the most loved, but difficult to master, meals- Fried Chicken. 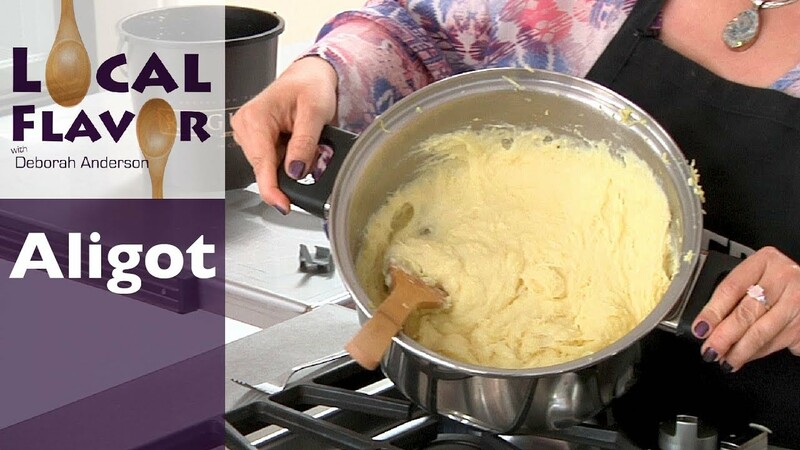 It’s a magical marriage of fondue and mashed potatoes that takes comfort food to a new level. 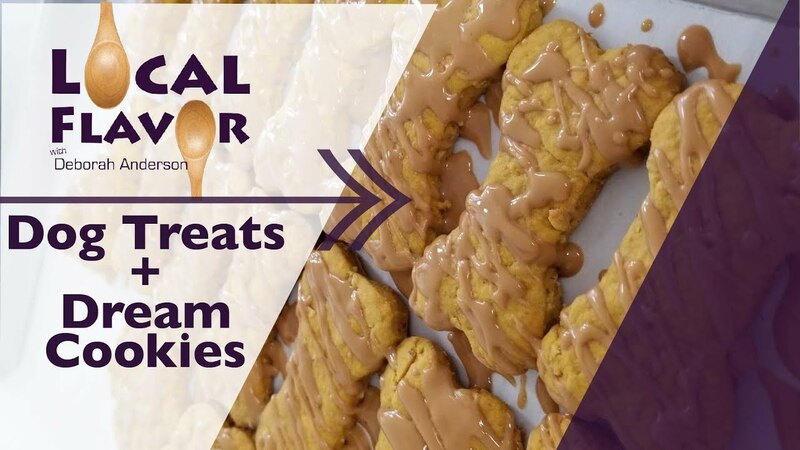 Sure, your dog is perfectly happy stealing your cookies, but wouldn’t you feel better giving her a special treat that’s actually good for her? 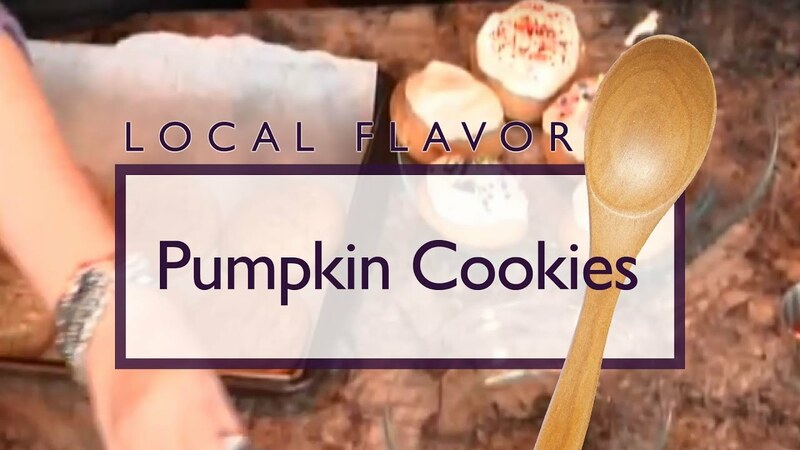 Keep the Dream Cookies all to yourself. 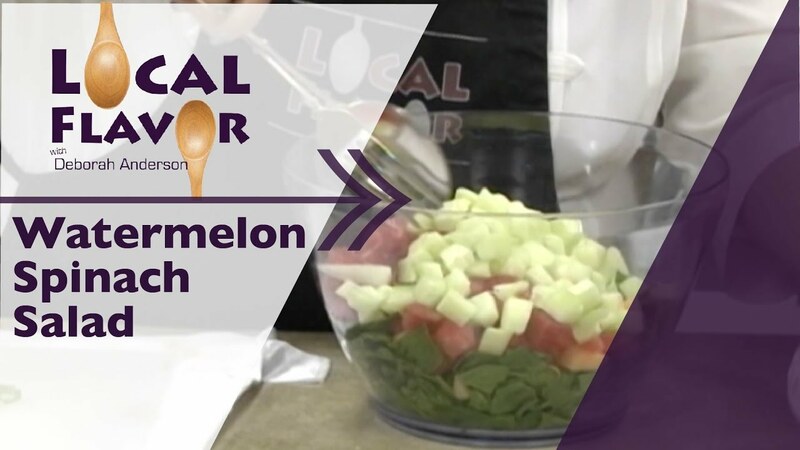 This delightful 2 bite sandwich is perfect for an afternoon tea party, and you definitely won’t croak when you taste this fruity fluffy salad, perfect for summer. 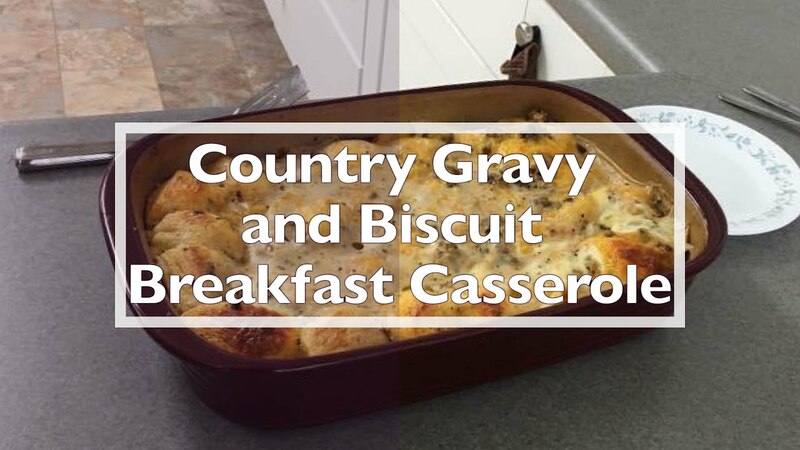 Get all your favorite breakfast items in one dish with this casserole that everyone is talking about. 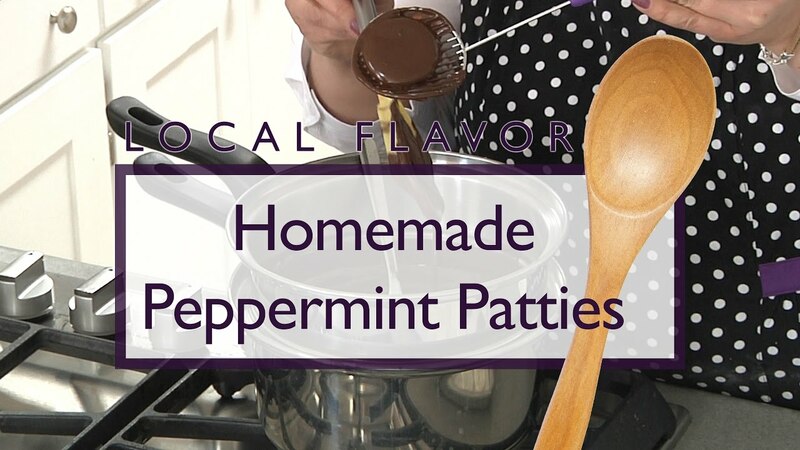 Craft a homemade version of everyone’s favorite refreshing mint candy with a few simple ingredients and a little freezer space. 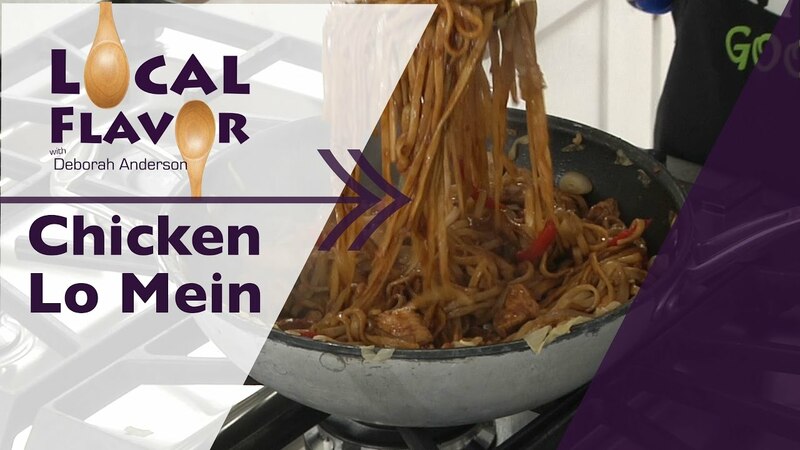 Your favorite dish at the Chinese restaurant is easier to make than you thought, and tastes just as good. 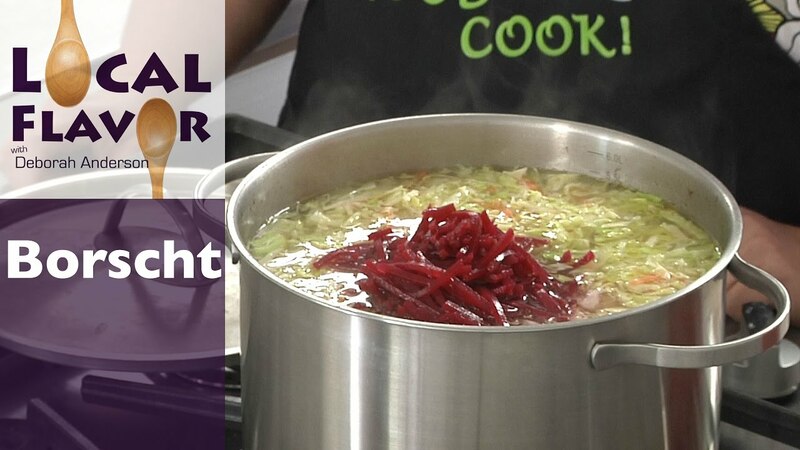 This classic Russian soup with beets is a surprise hit with skeptics. 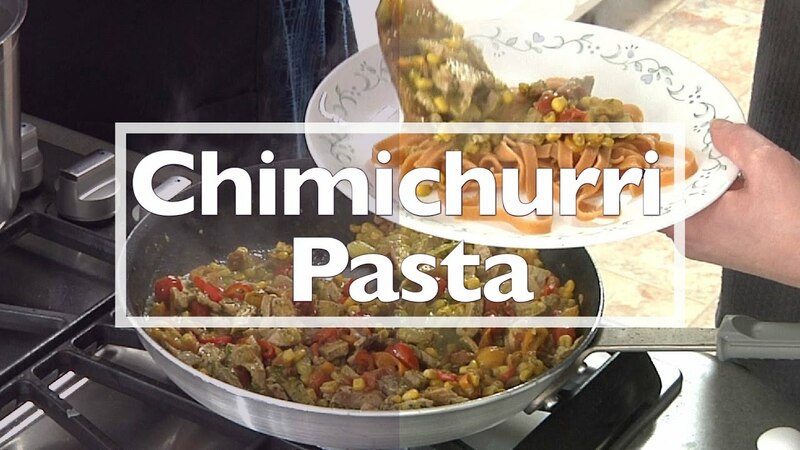 This pasta dish is loaded with the flavors of Mexico, and pairs perfectly with Smoky Chipotle flavored noodles. 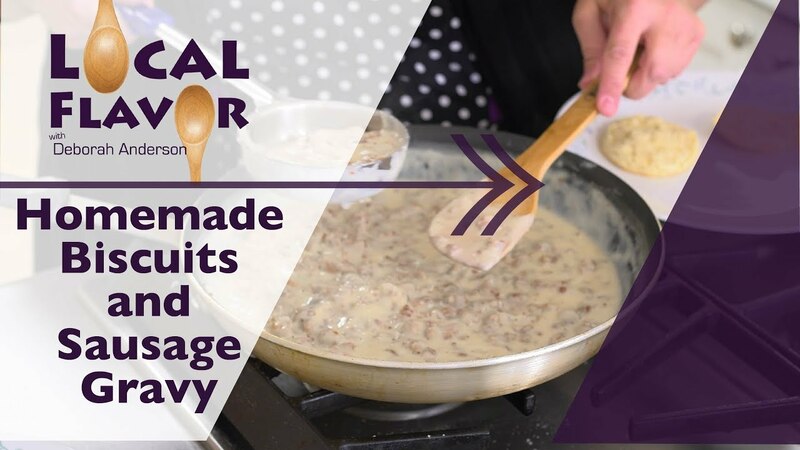 If you thought you couldn’t pack more flavor into traditional Jambalaya, think again and try this Creamy Pastalaya. 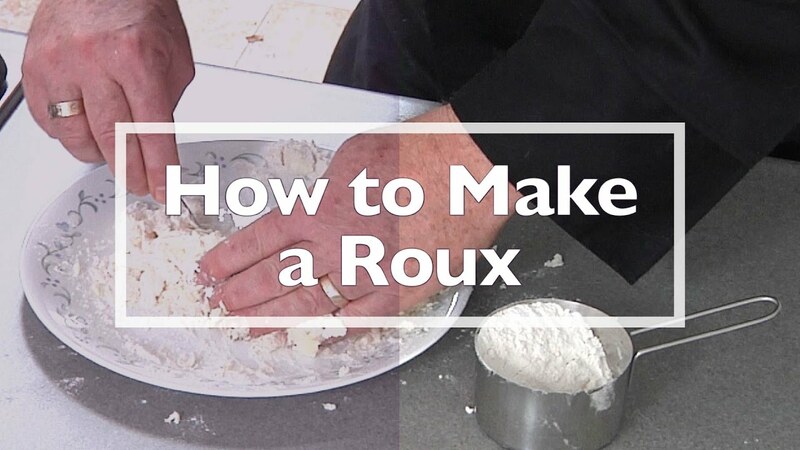 Learn how to make a roux with Alex Leslie. 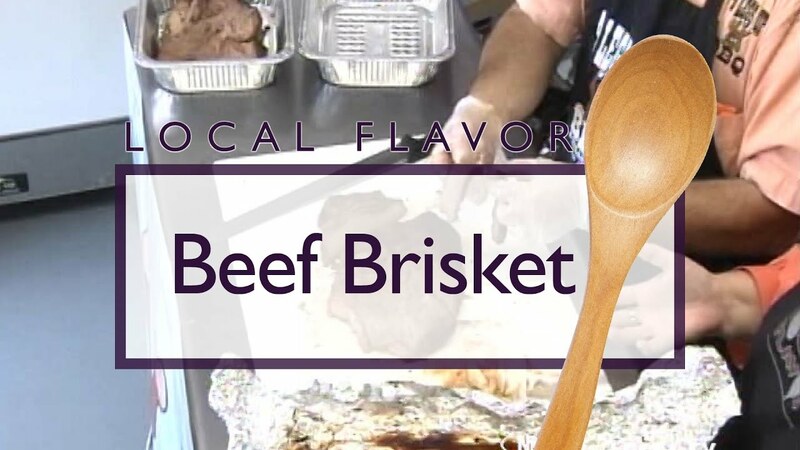 This American twist on a classic French stew is easier to make than it is to pronounce, and braising in red wine makes the meat so tender. 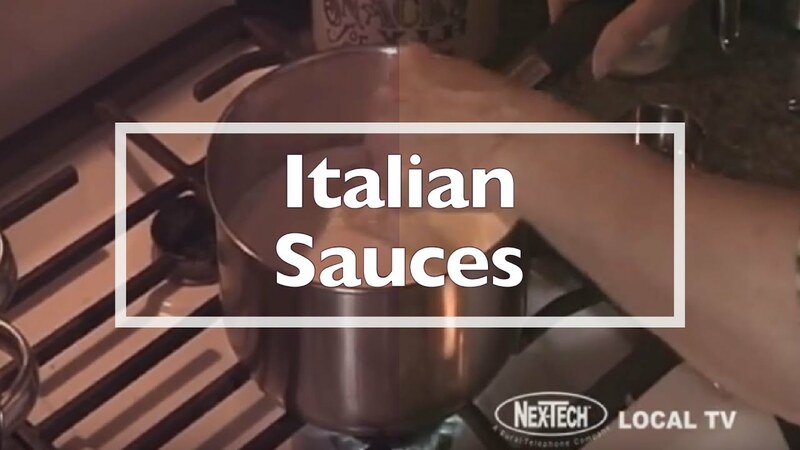 If you’re disappointed in the number of vegetables in canned minestrone (Italian vegetable soup), then you’re going to love this homemade version. 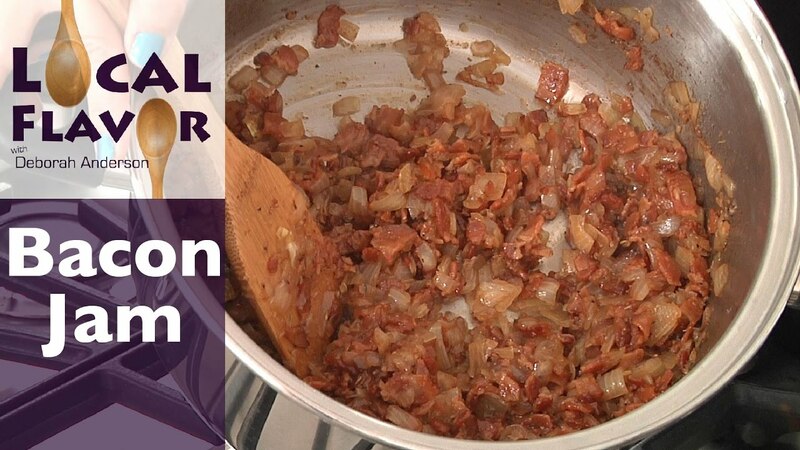 It’s spreadable bacon you’ll want to slather on everything. 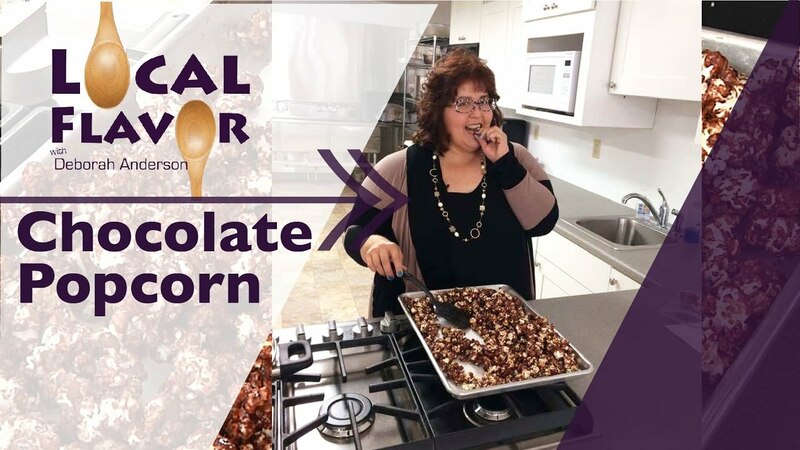 Toss some fresh popcorn in this homemade chocolate coating and take your movie night up a notch. 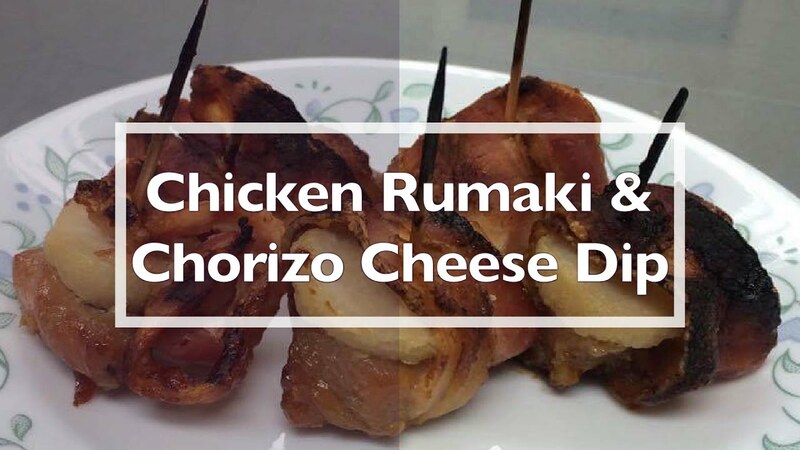 These Chicken Rumaki are a tiki party on a toothpick, and the Chorizo Cheese Dip is creamy and spicy. 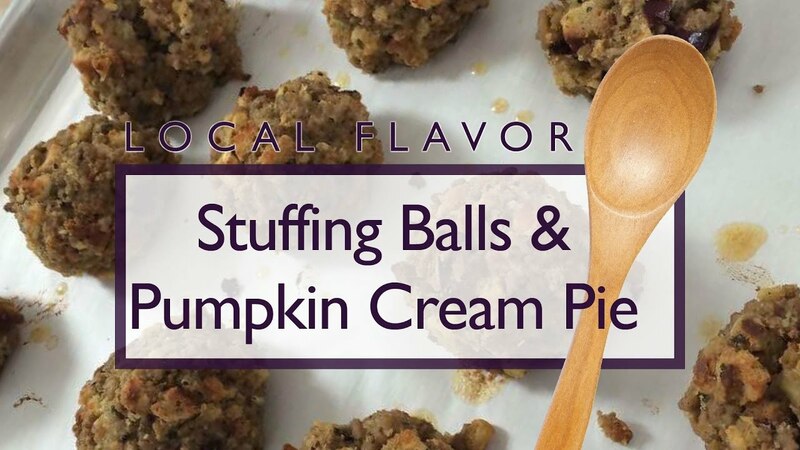 Work up enthusiasm for Thanksgiving with stuffing balls and top it off with a cream pie version of the holiday classic. 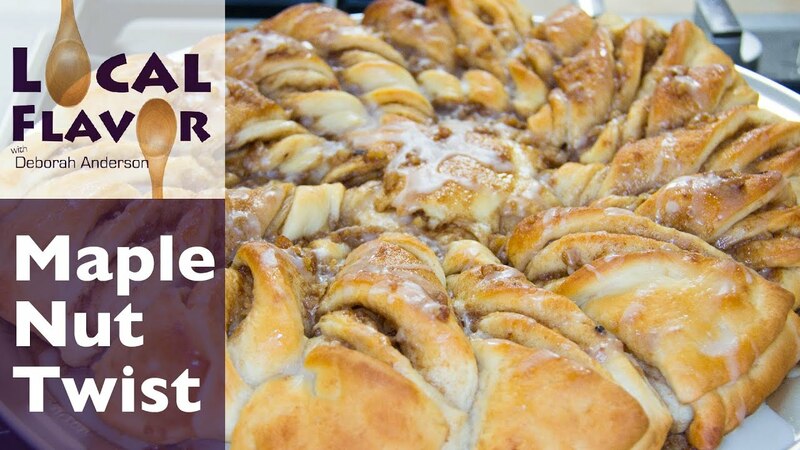 The appearance of this delicious maple nut twist is deceiving. 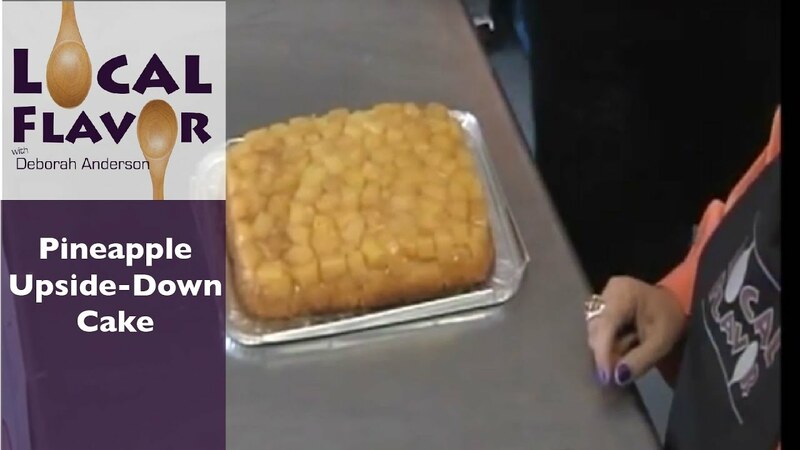 It’s actually quite simple to make! 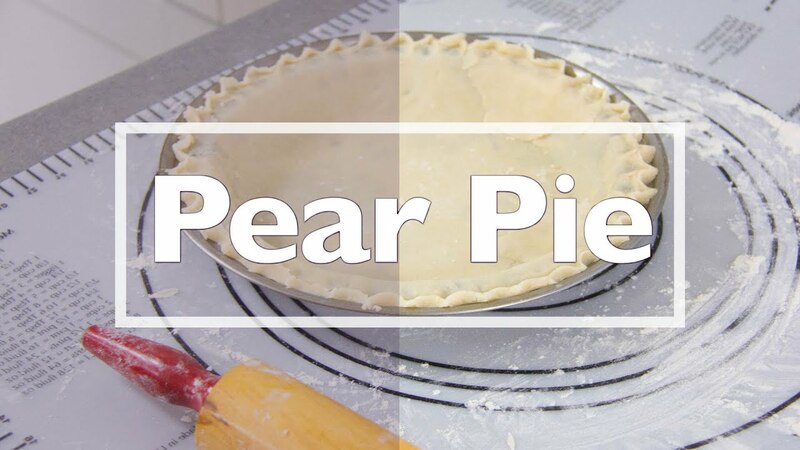 Sour cream creates an unlikely pairing of both a fruit pie and a cream pie, and it’s delightful. 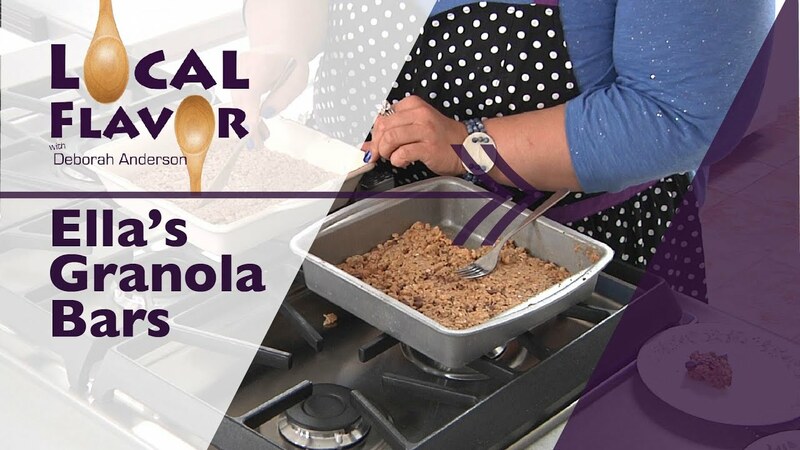 If you want to save money and have unlimited flavor choices in your granola, get Ella’s easy tips and techniques for making them at home. 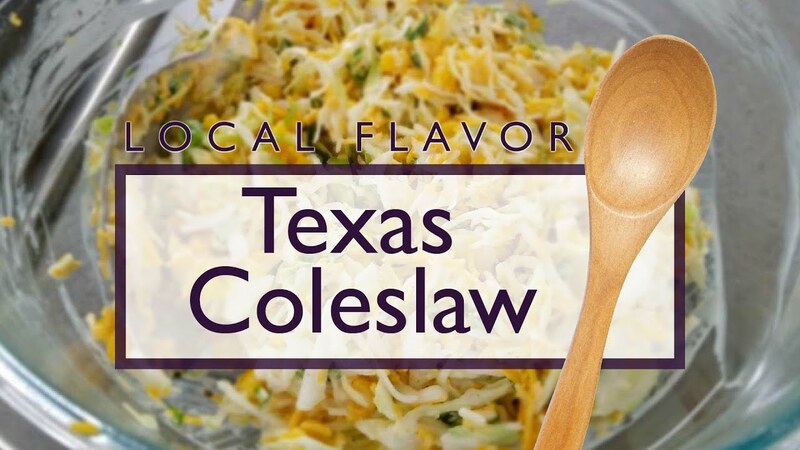 Cabbage is probably the only thing this delicious, spicy dish has in common with traditional coleslaw. 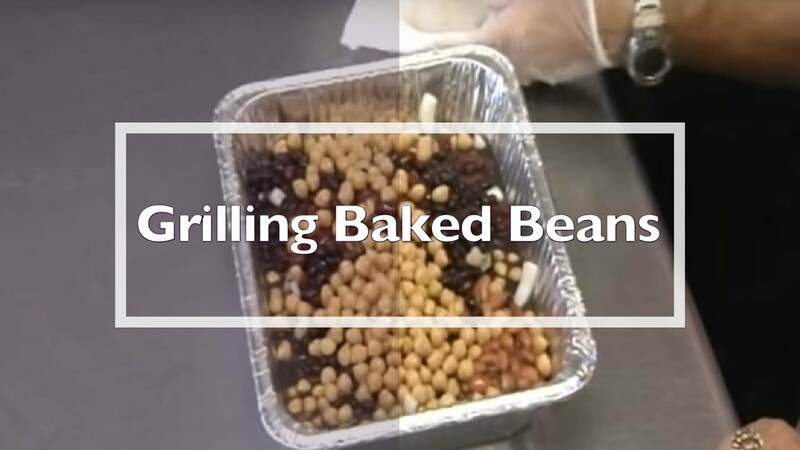 It’s an easy to throw together dish sure to impress everyone at the picnic. 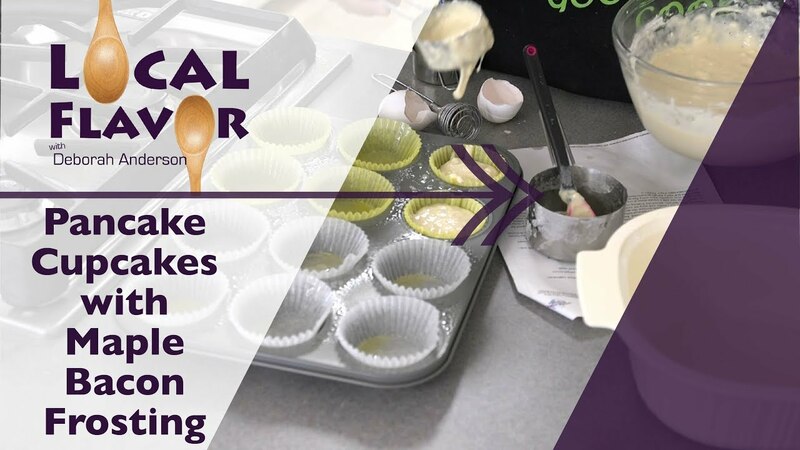 Individual mini mountains of cake are filled with hot batter. 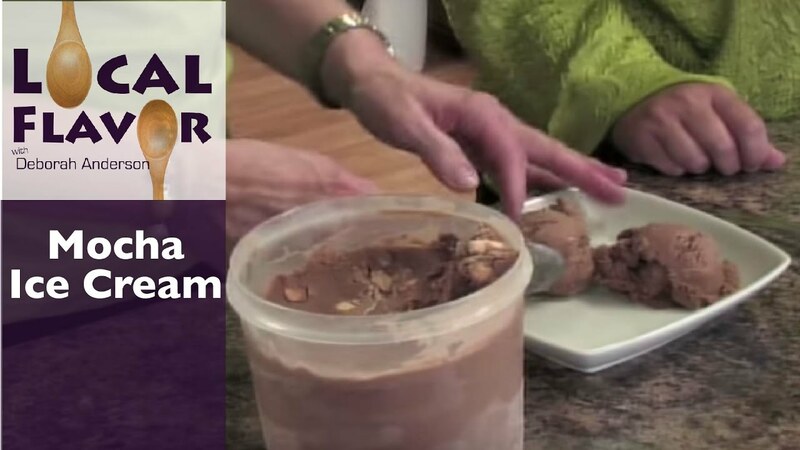 Vanilla ice cream is essential. 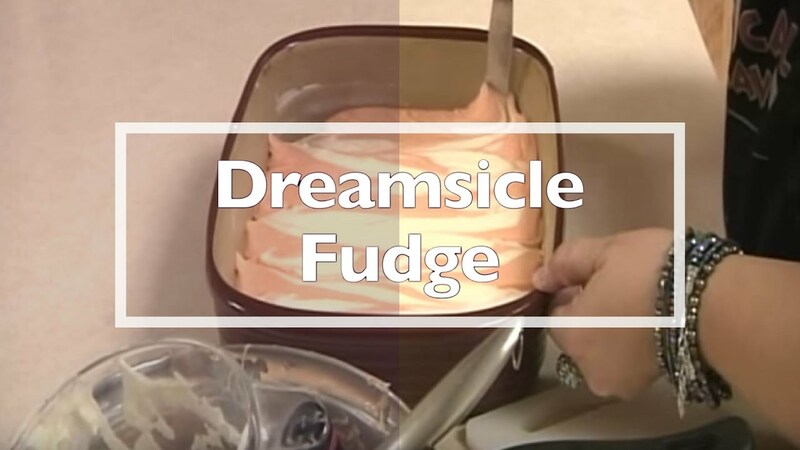 This silky and creamy fudge has stripes like a tiger’s fur and will make you purr like a kitten! 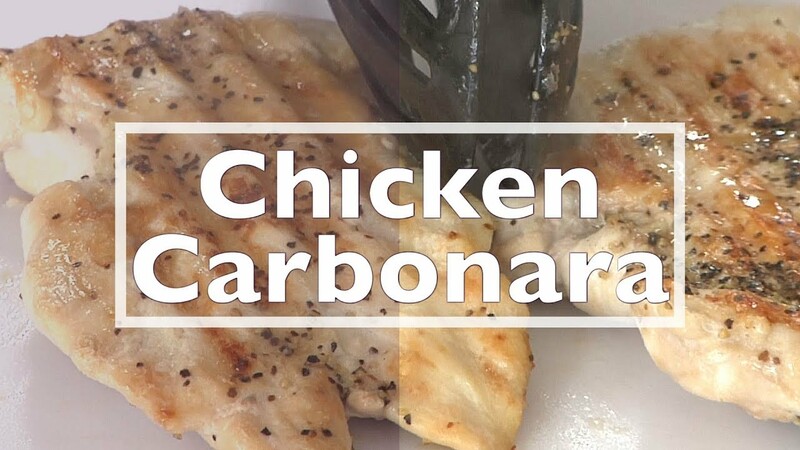 This sweet and spicy chicken pairs nicely with coconut rice and sweet potato fries. 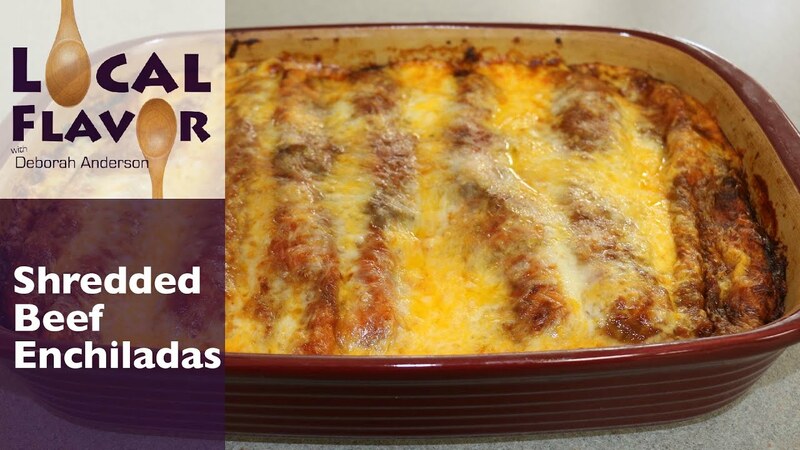 Get fresh, authentic enchilada flavor instead of an oily mess by making your own sauce for these shredded beef enchiladas. 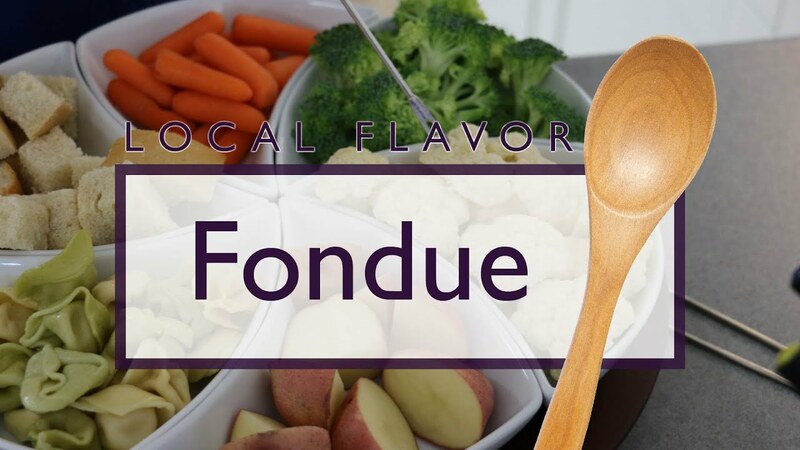 Fondue is definitely making a comeback and special guest Amanda Rohleder shares ideas from her own parties! 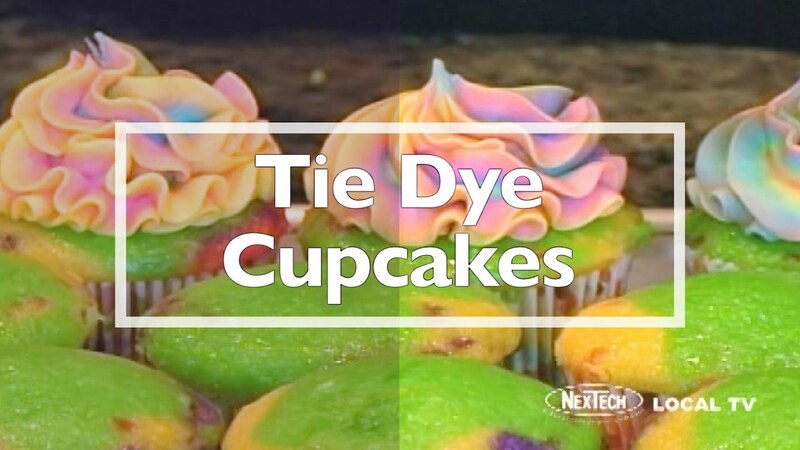 Decorating possibilities are endless when you get the frosting to the right consistency and guest Darcie Lumpkin has all the secrets. 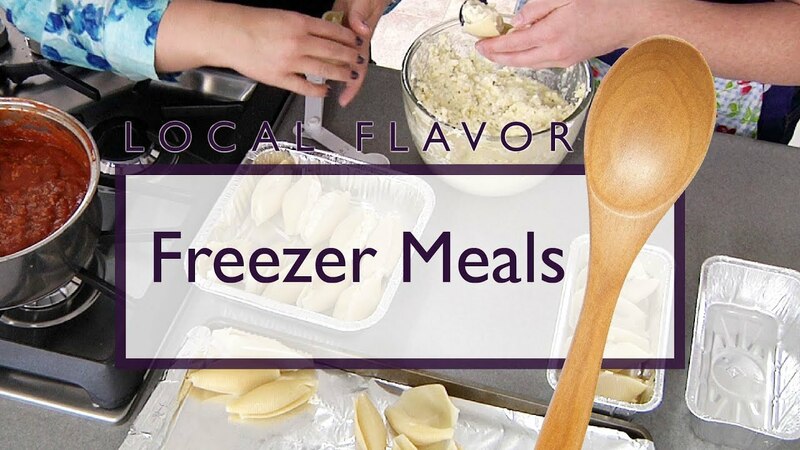 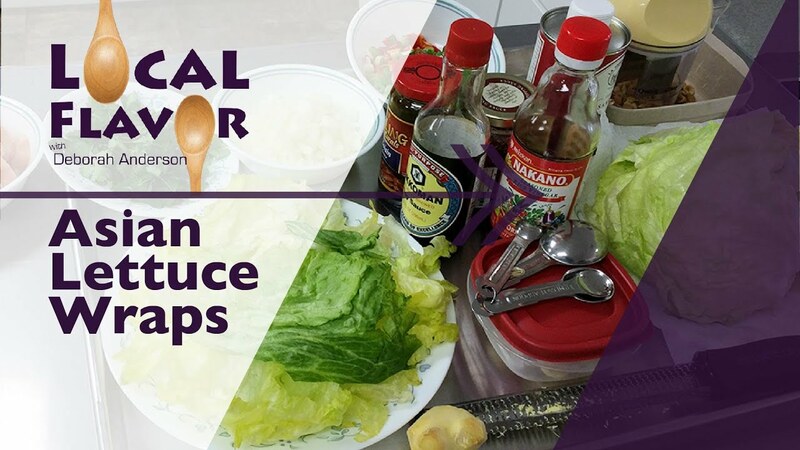 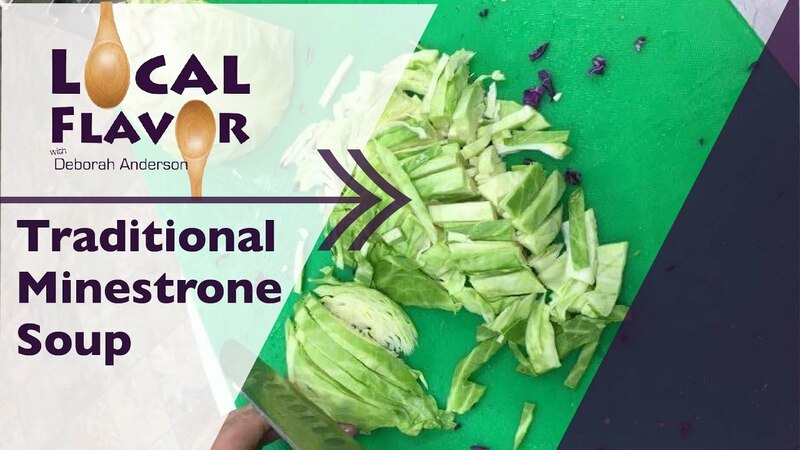 With a little planning and a few freezer containers, you can eat healthier and save money making freezer meals using the cook once method demonstrated by guest Julianne Shoup. 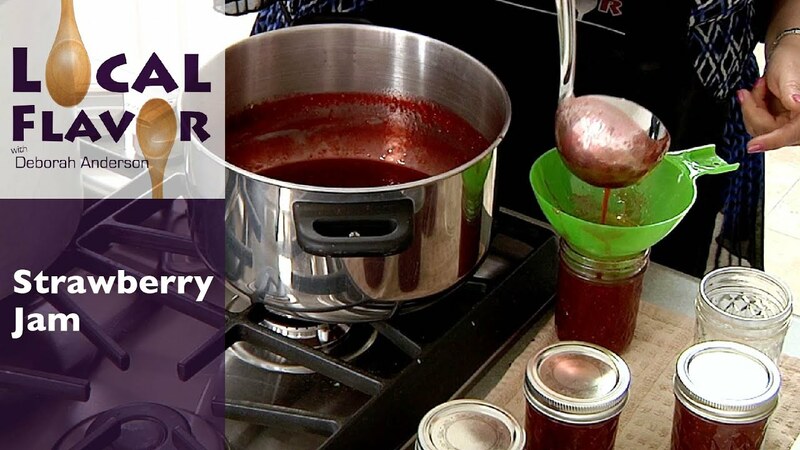 Making and canning your own jam is easier than you think and guest Becky Howland has a secret ingredient to share. 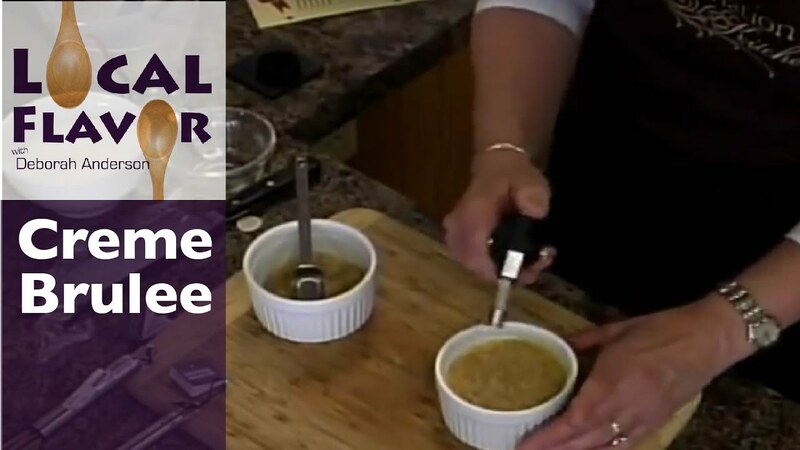 Olga Detrixhe's mother in Germany perfected this cheesy soup and Olga tries to duplicate it with American ingredients. 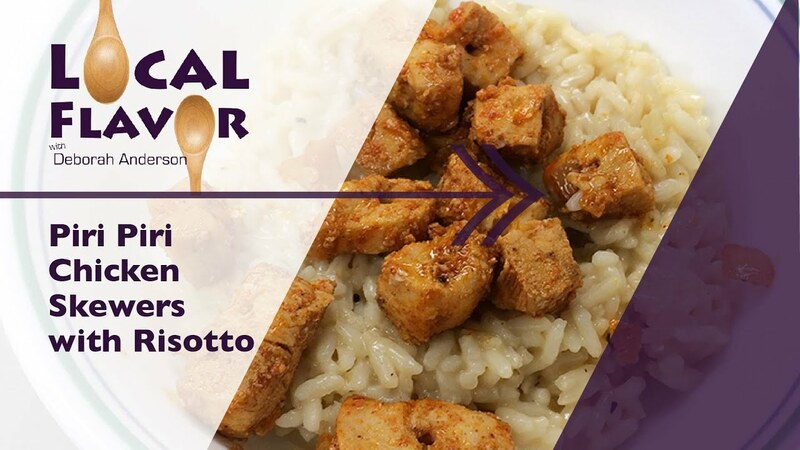 Paired with Risotto these Piri Piri Chicken Skewers will leave your taste buds wanting more. 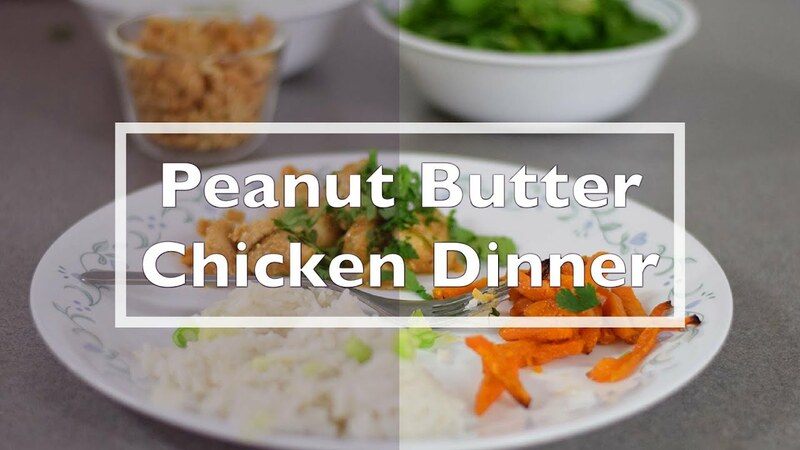 Topped with peanuts and cilantro this dish is sure to delight! 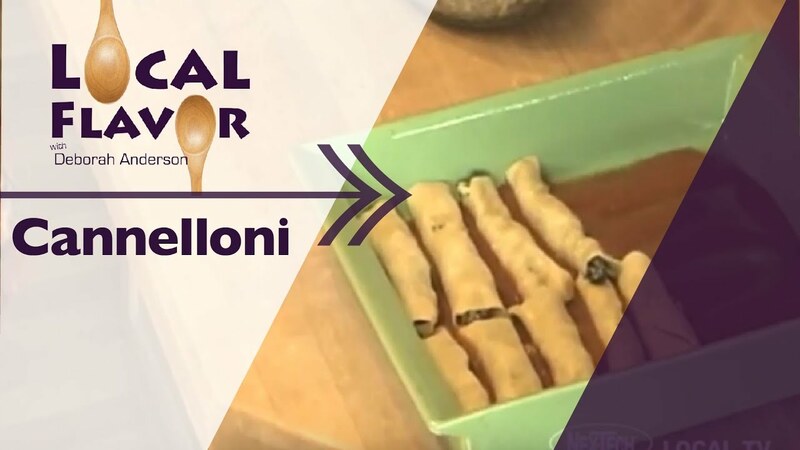 Special Guest Mitchell Montague reveals a dish he consented to make for vegetarian friends that became a surprise favorite among the carnivores. 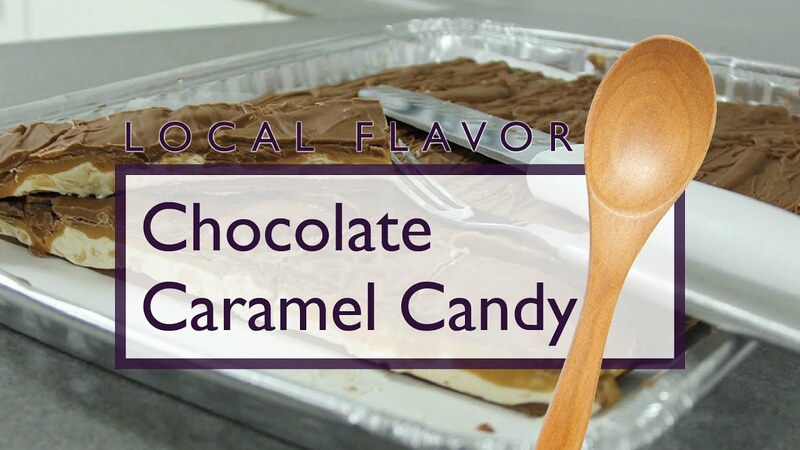 Imagine your favorite candy bar, but fresh and homemade and irresistible. 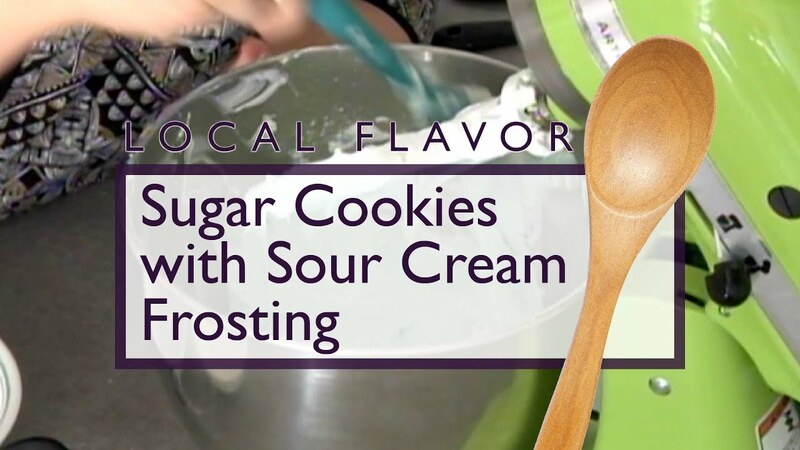 Soft but not crumbly, and topped with a frosting that makes this a grown up's cookie. 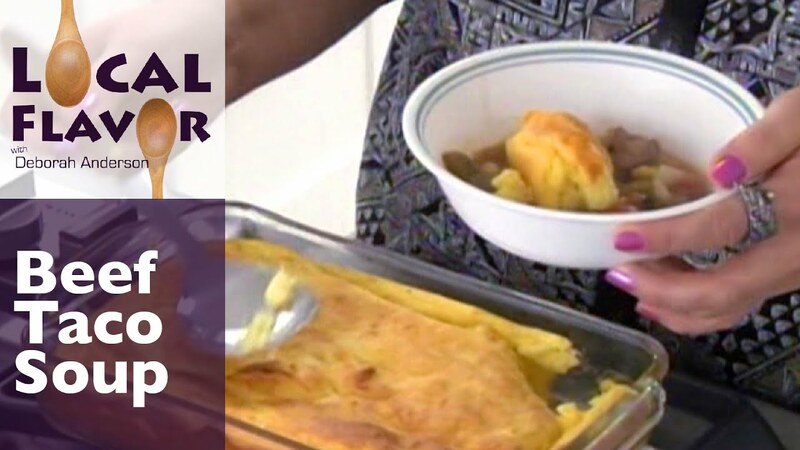 Forego tortilla chips for spoonbread to garnish this popular soup and save $ on spice packets! 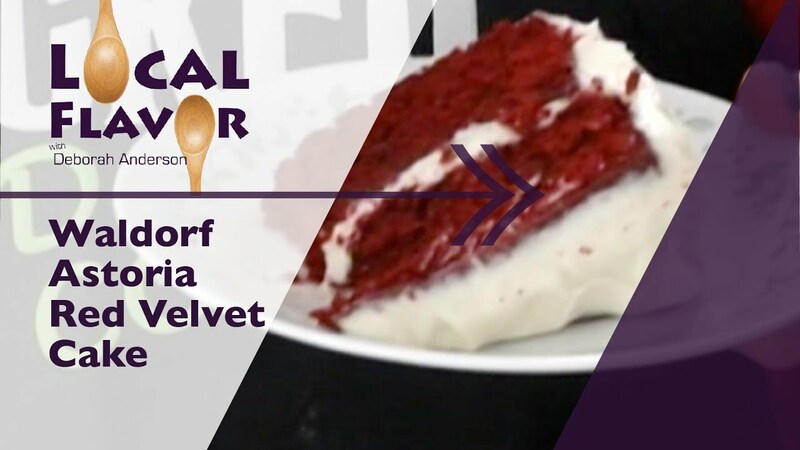 Korene digs into the Cromwell family cookbook and adds a surprise vanilla flavor to classic red velvet. 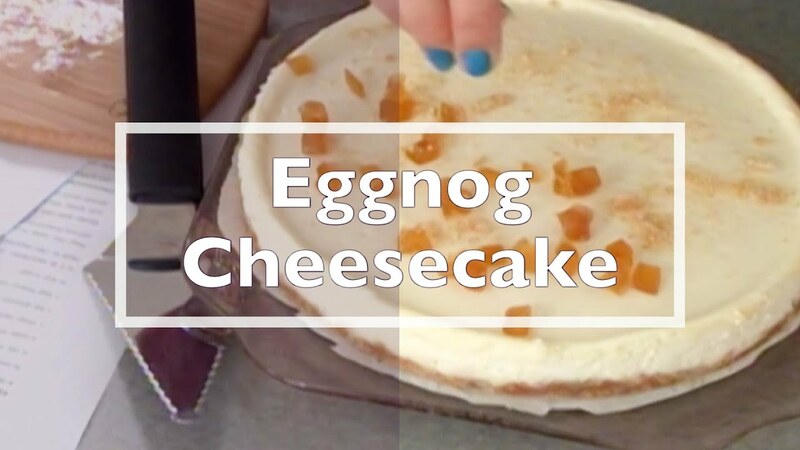 Use your noggin to come up with a holiday twist on homemade cheesecake. 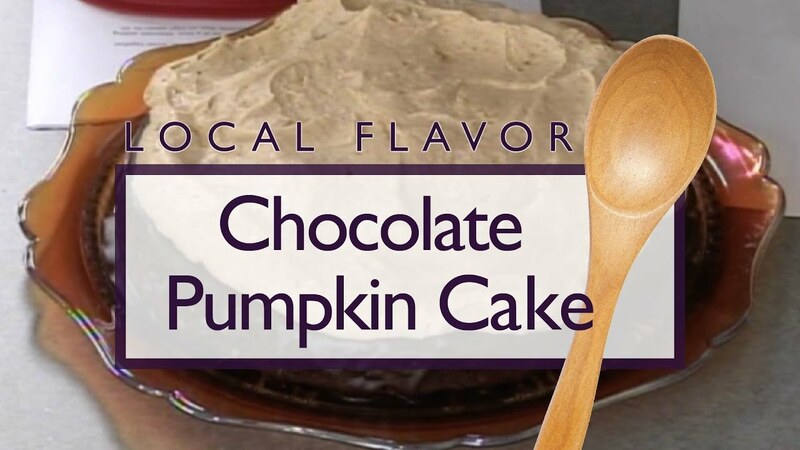 For those who want their pumpkin to still taste like dessert make this cake along with Deborah Anderson. 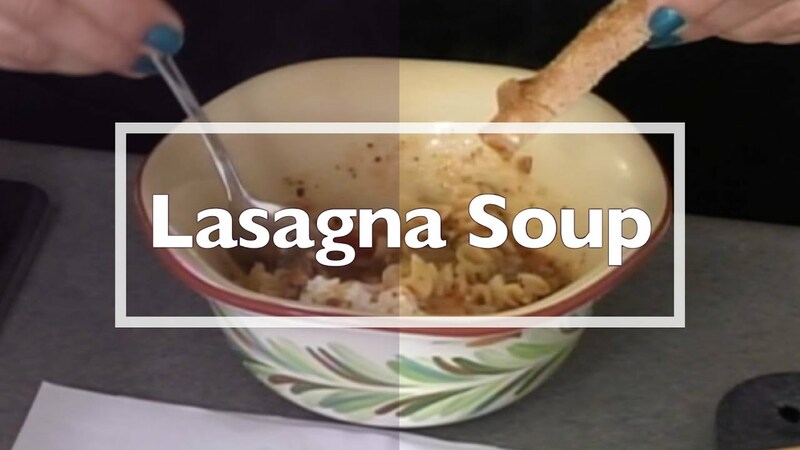 All the flavors of Lasagna, but slurp-able- Deborah shares her all time favorite soup recipe. 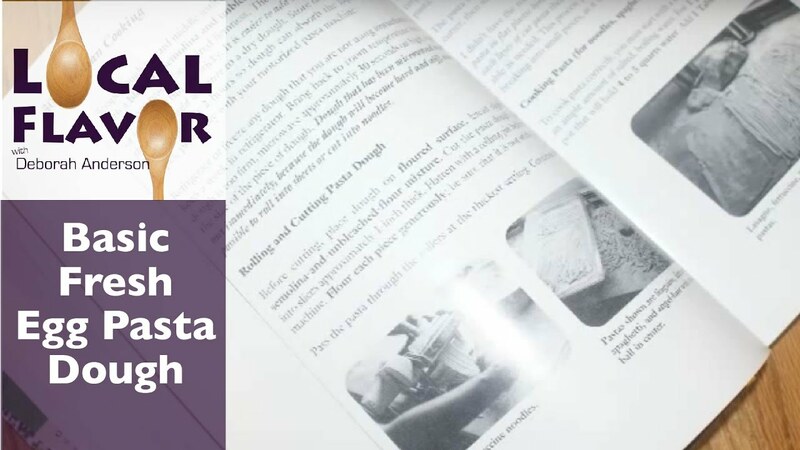 Deborah Anderson invites her nieces to help her make a favorite dish they discovered last October while visiting IKEA. 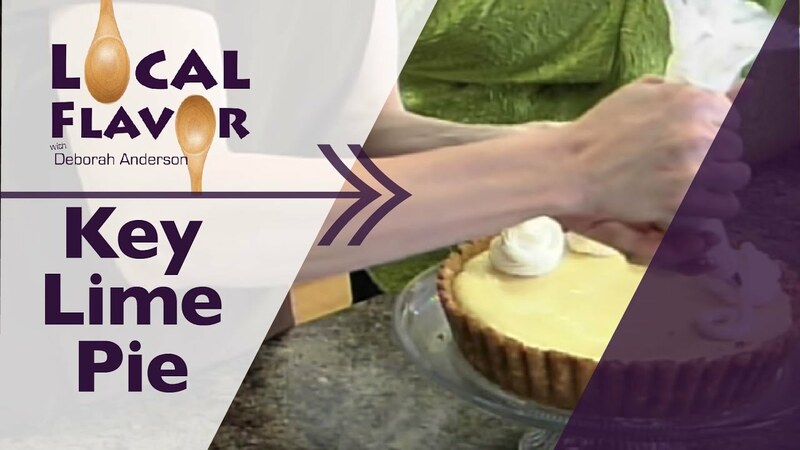 Deborah Anderson invites her nieces to help her create a no bake dessert for their enjoyment. 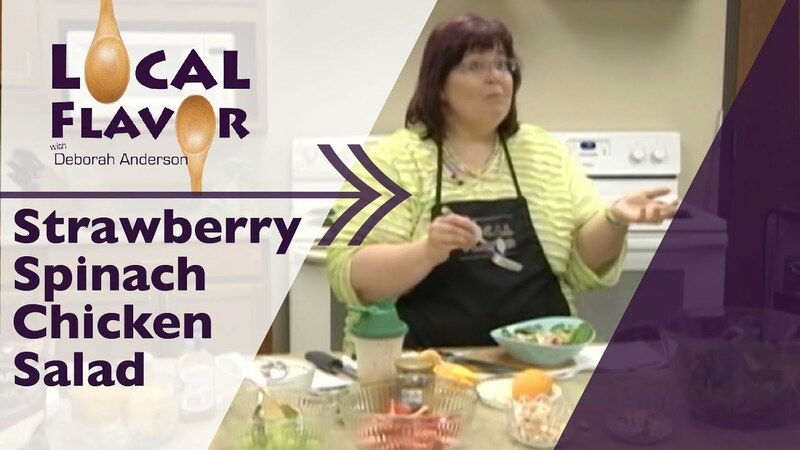 Anna Schremmer is back to teach Deb how to pressure cook meat. 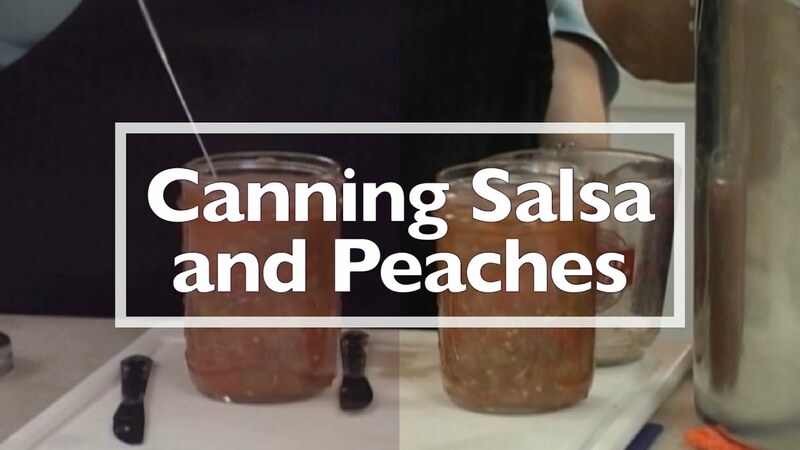 Anna Schremmer is back to teach Deb how to hot water bath can salsa and peaches. 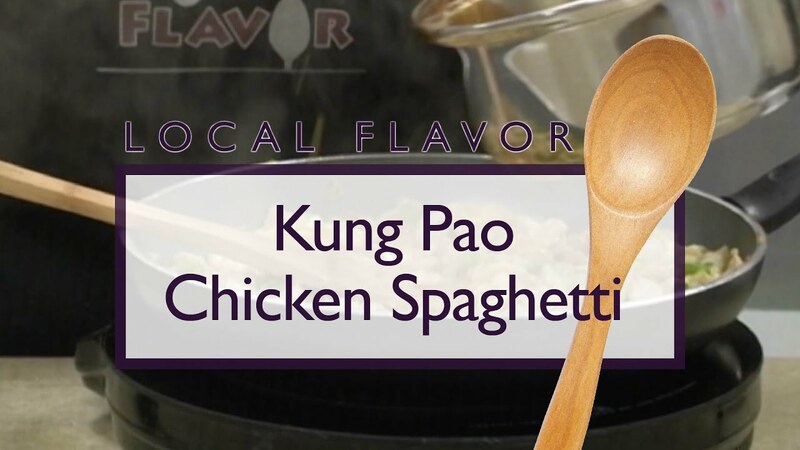 Deborah shares one of her own recipes in this episode featuring Chicken Kung Pao Spaghetti. 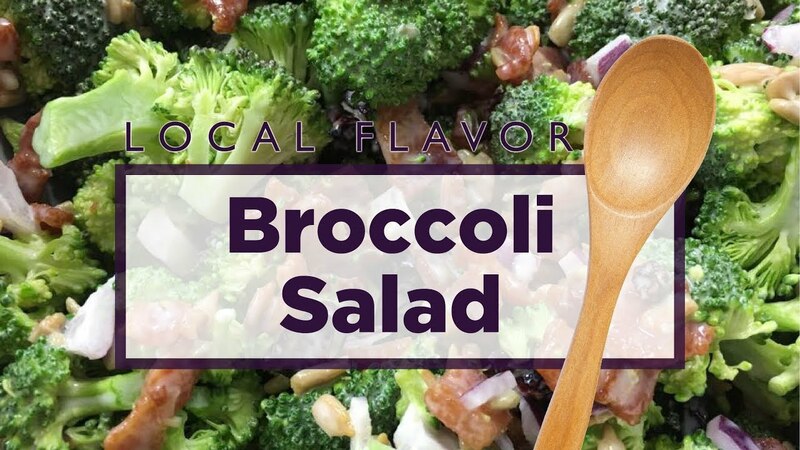 Deborah is back to share another great spinach salad with a twist you won't be expecting! 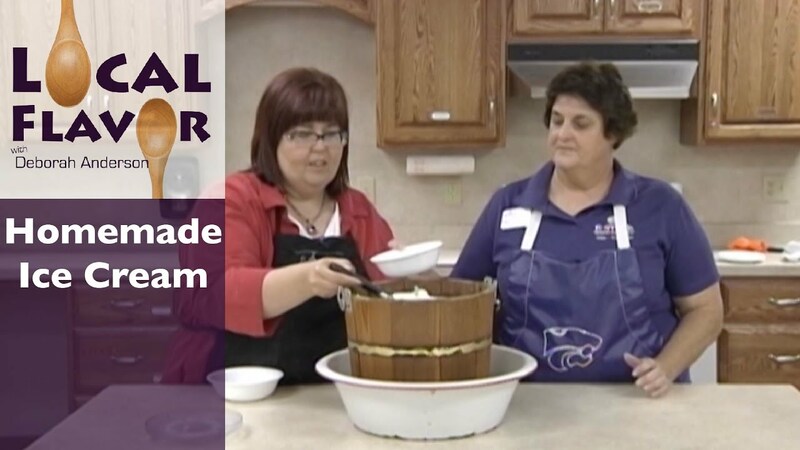 Host Deborah Anderson travels to Phillipsburg to work with Extension Agent Anna Schremmer as she shares her family's homemade ice cream recipe. 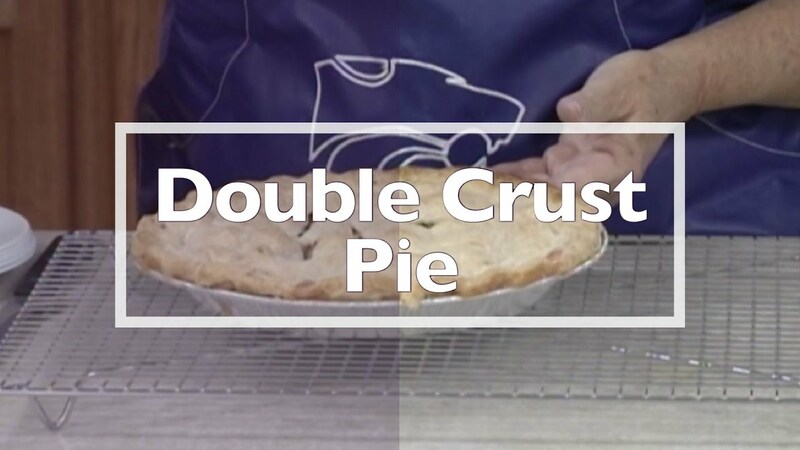 Host Deborah Anderson travels to Phillipsburg to work with Extension Agent Anna Schremmer in mastering her homemade pie making skills. 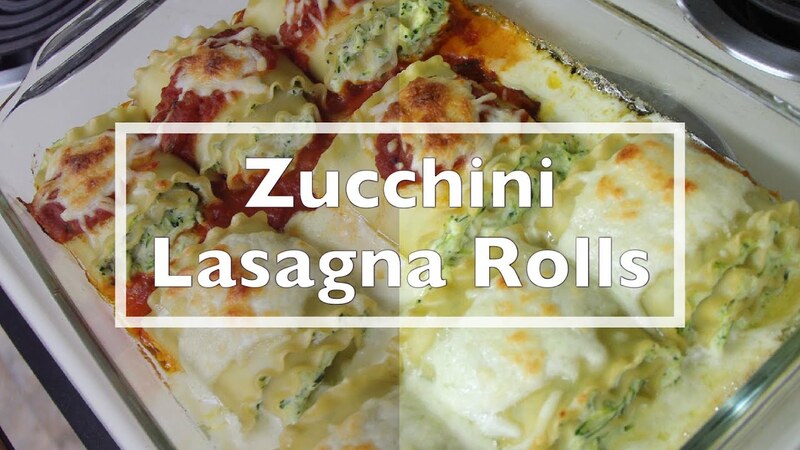 These are a hit at restaurants, but Deb can teach you to make them at home too! 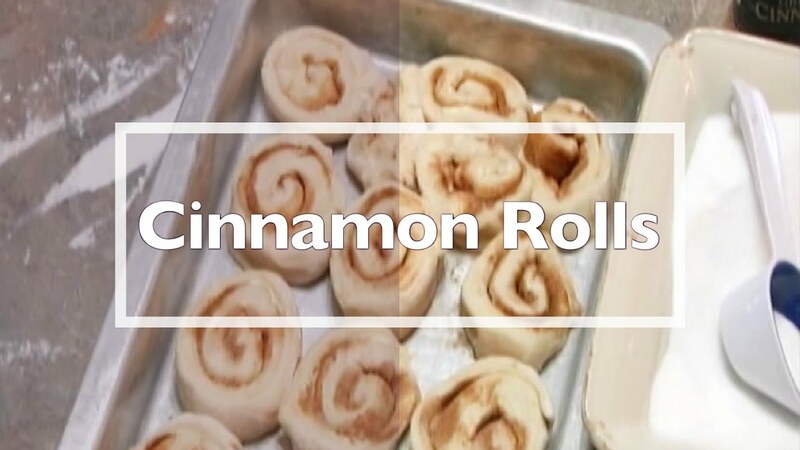 You'll be surprised at how easy and even more delicious they are from scratch. 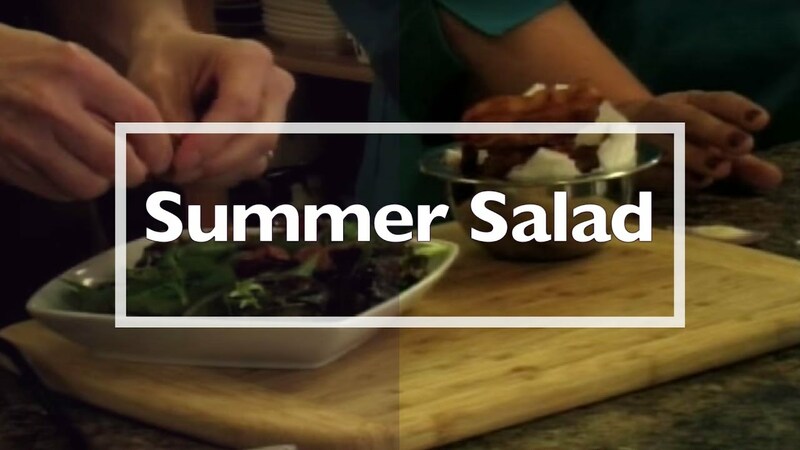 Deborah shares one of her favorite summer salads- it's great for potlucks and to make at home! 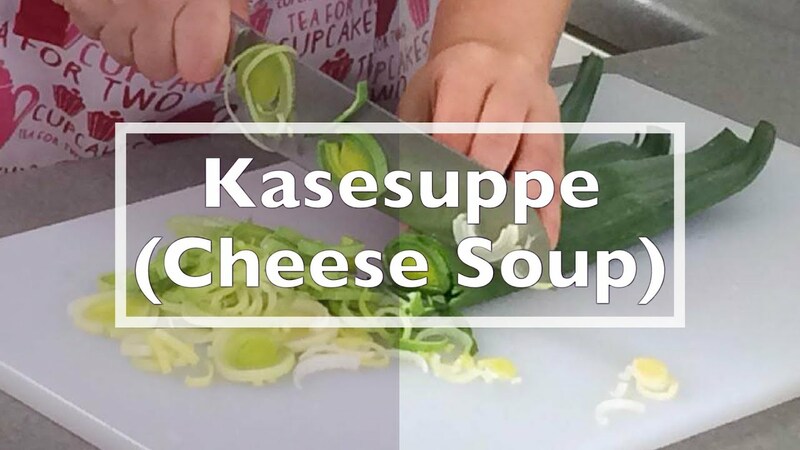 Soup is great for all seasons! 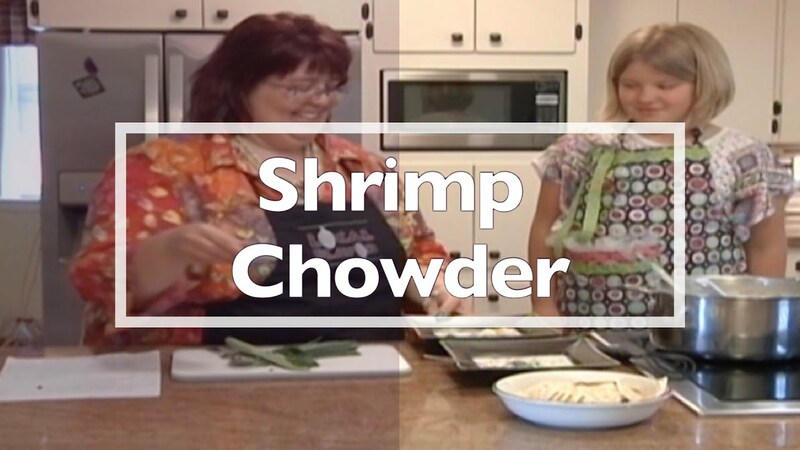 Join host Deborah Anderson and guest Gretchen Bieker to learn how to make Shrimp and Corn Chowder Soup. 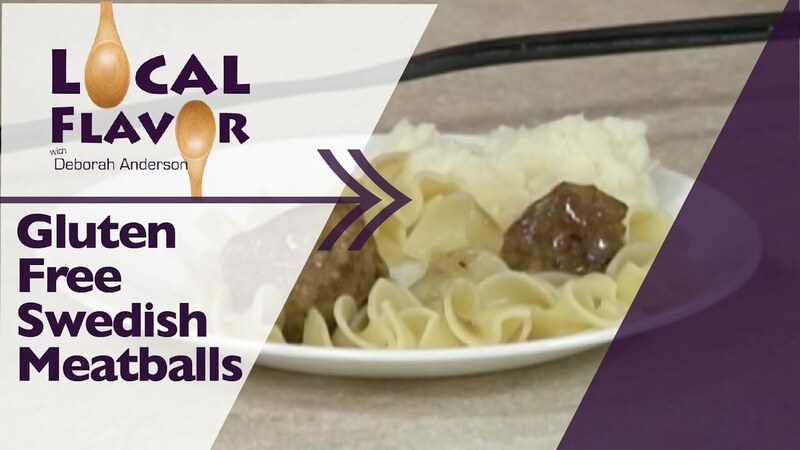 Another great German inspired episode! 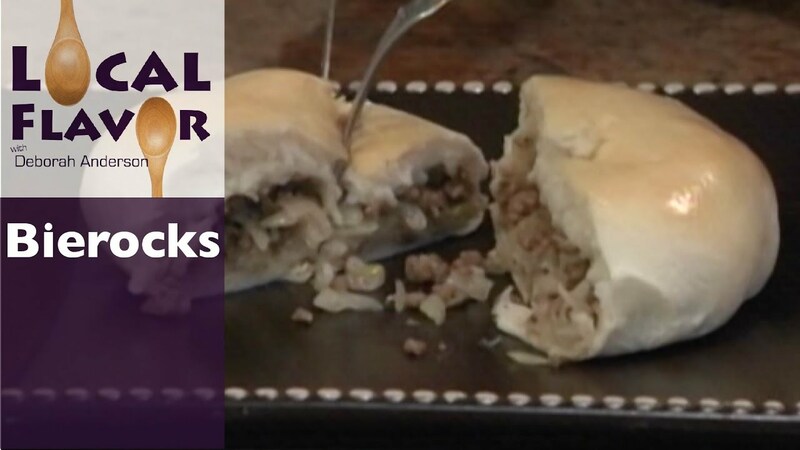 Join host Deborah Anderson and returning guest Korene Triplett to learn how to make bierocks. 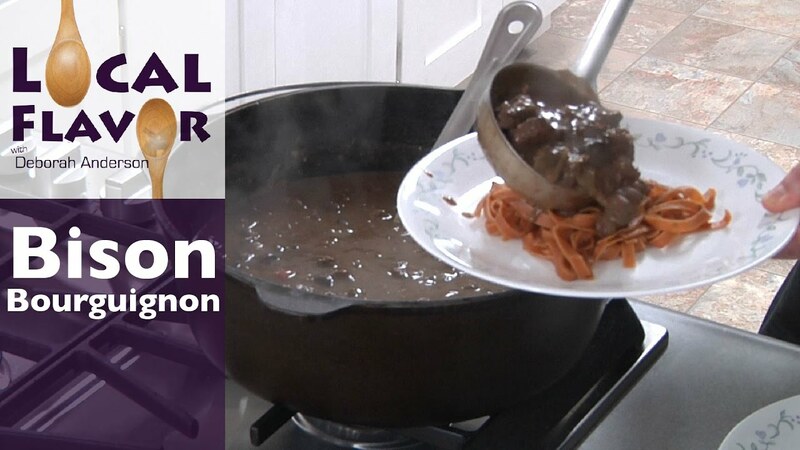 Soup is great for all seasons! 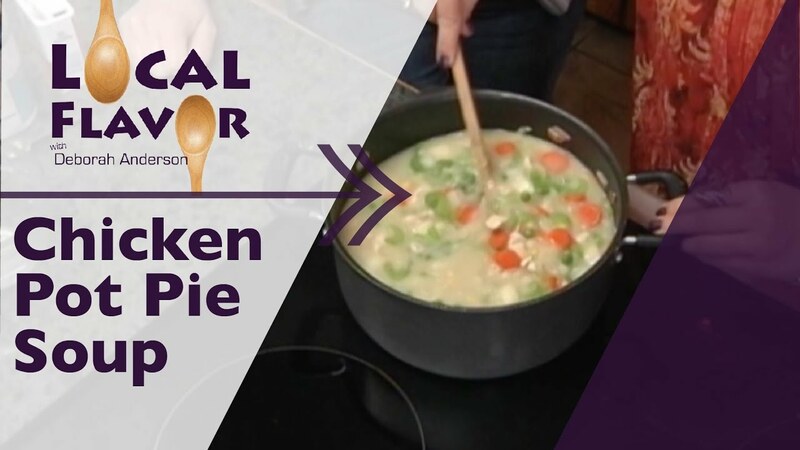 Join host Deborah Anderson and guest Erin Farber to learn how to make Chicken Pot Pie Soup. 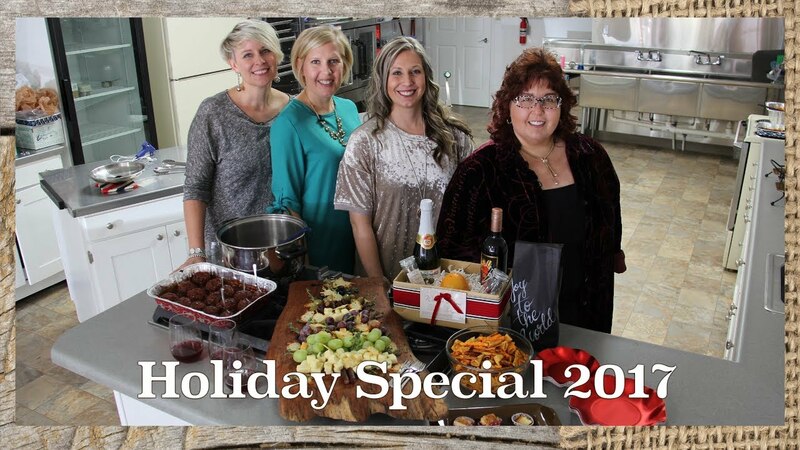 Soup is great for all seasons! 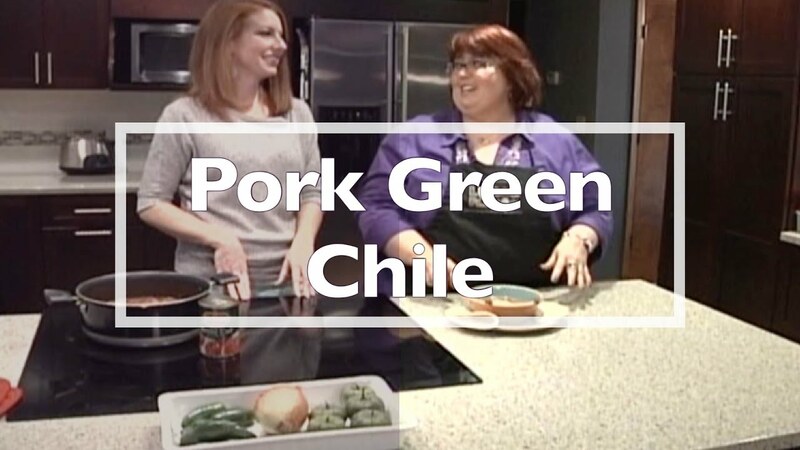 Join host Deborah Anderson and guest Jenny Leiker to learn how to make Pork Green Chile. 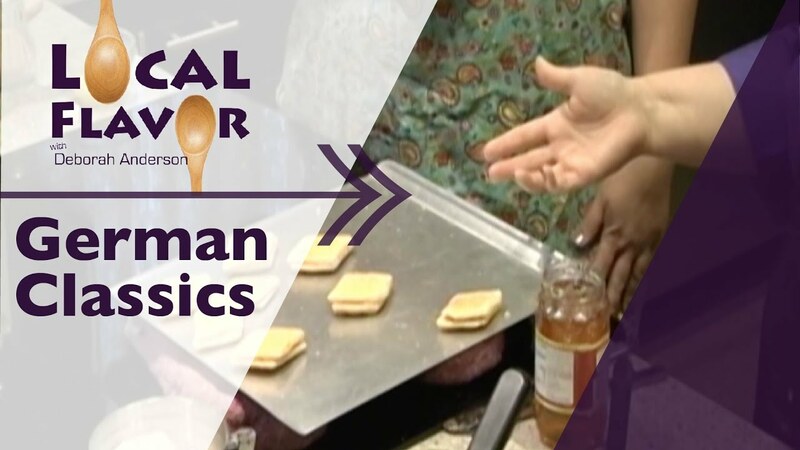 Our very first German recipes episode! 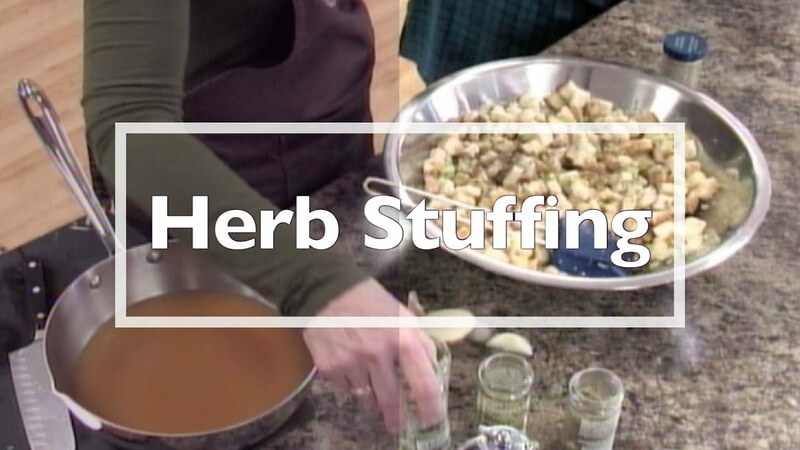 Join host Deborah Anderson and guest Trisha Sauer to learn how to make "Green Bean Dumpling" soup and "Spitzbuben" cookies. 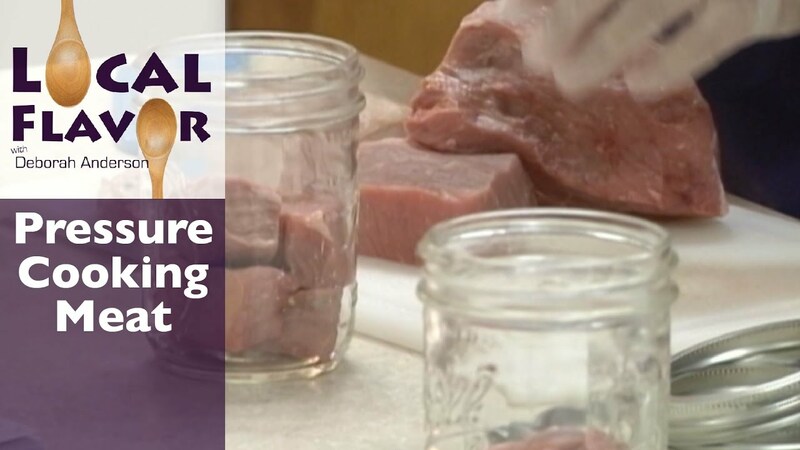 Brining adds moisture, making it the best choice for lean proteins. 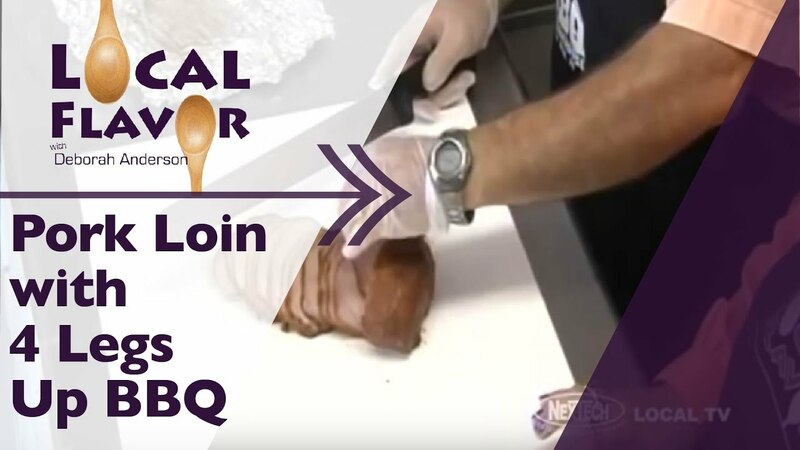 Salt provides seasoning and also promotes changes to the protein structure, reducing toughness and creating gaps that fill up with water and keep the meat juicy and flavorful. 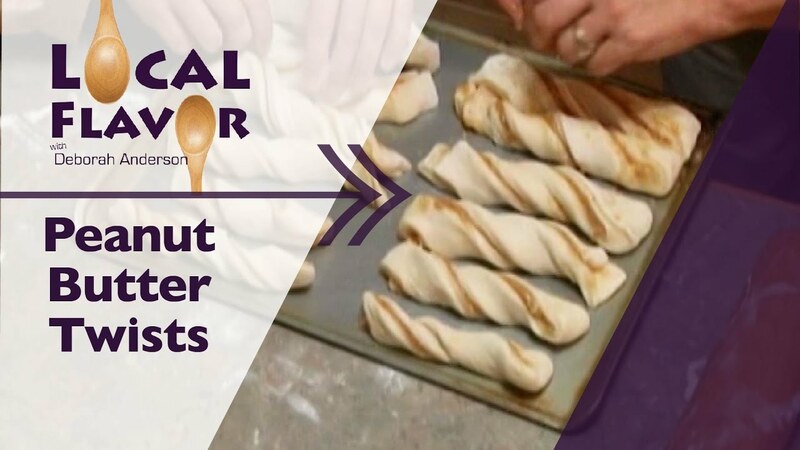 One week prior: Make checklist for ingredients and utensils needed. 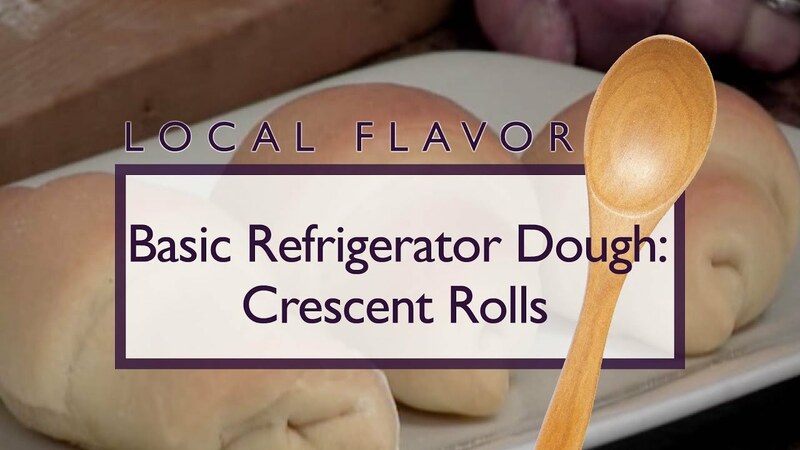 Go shopping for what is not on hand. 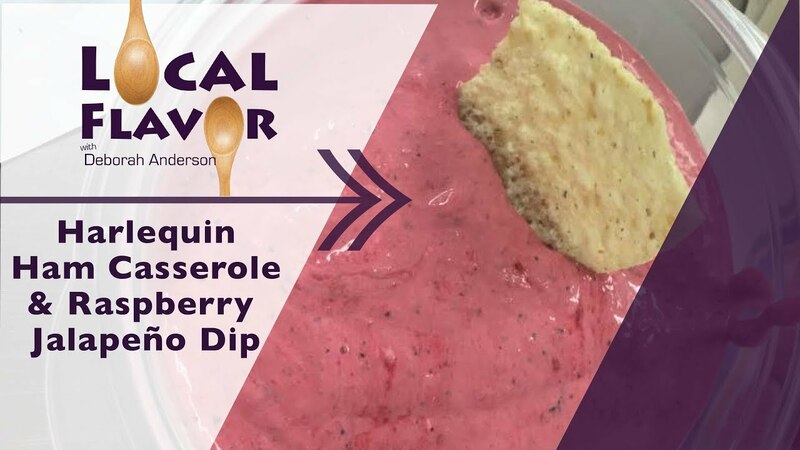 Make and freeze pie crust, bread and cranberry ice and start to thaw turkey. 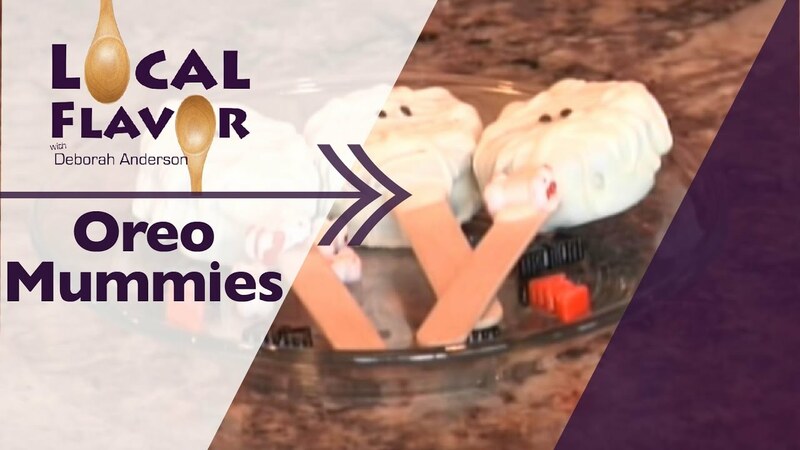 Create these sweet treats for Halloween! 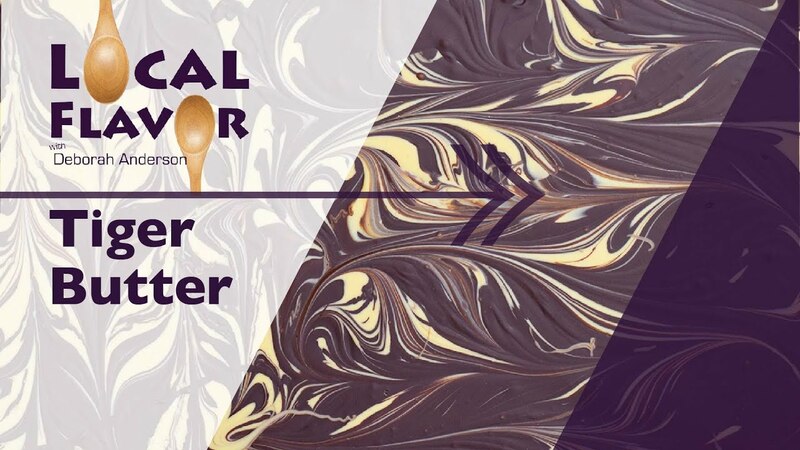 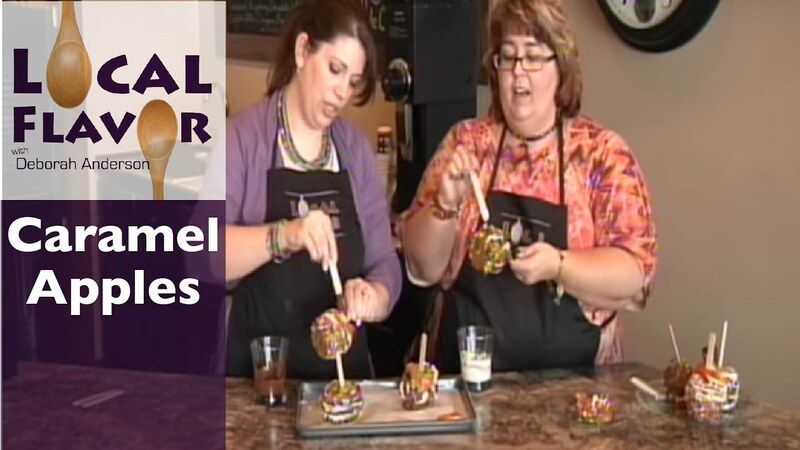 Don't spend money on Caramel Apples from the store- learn how to make your own with Deborah Anderson and Jennifer Dardis! 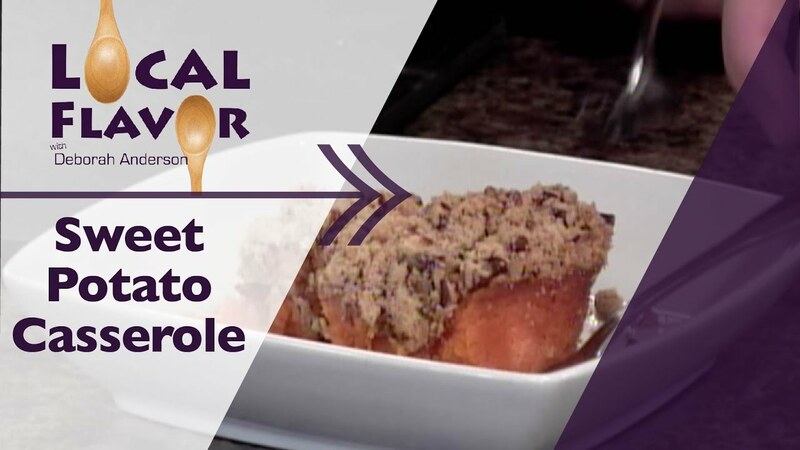 Kelly introduces his favorite rendition of pork loin, this is an episode you won't want to miss! 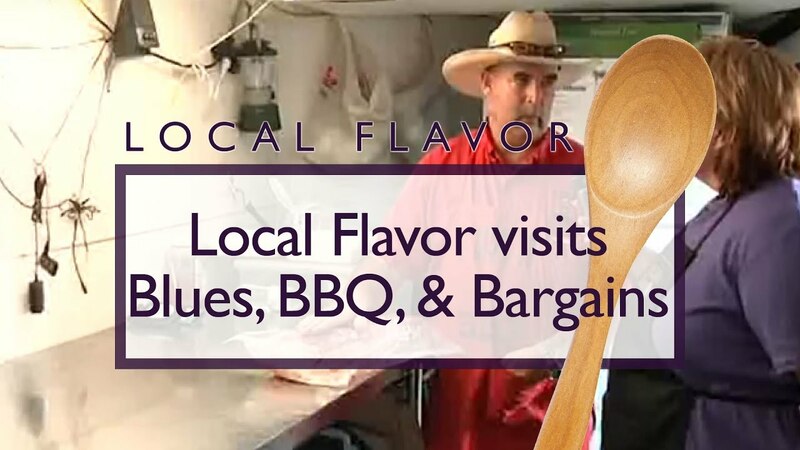 Deborah stops in downtown Hays, KS to quiz some of the BBQ Contestants, including Kelly of 4 Legs Up BBQ. 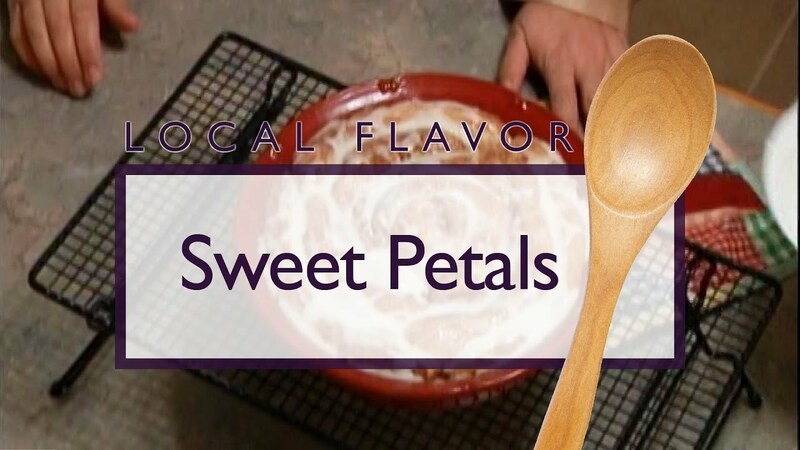 Gellas Diner Lb Brewing Co.
A king-sized version of this tangy and delicious pie. 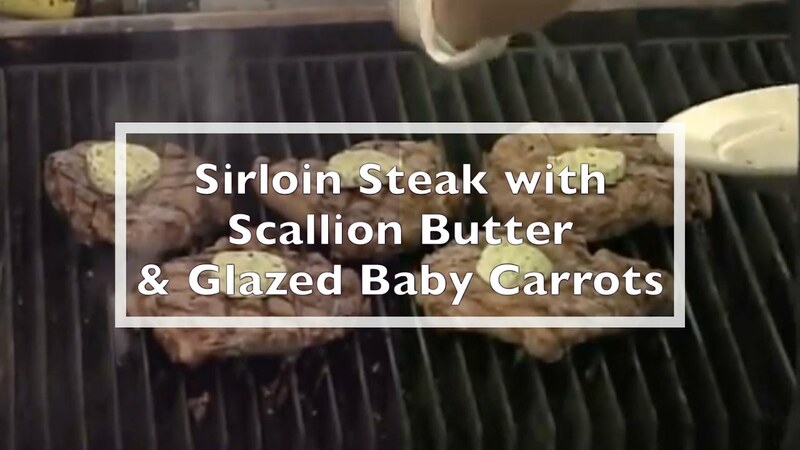 Shrimp, steak and chicken on a wood pellet grill.